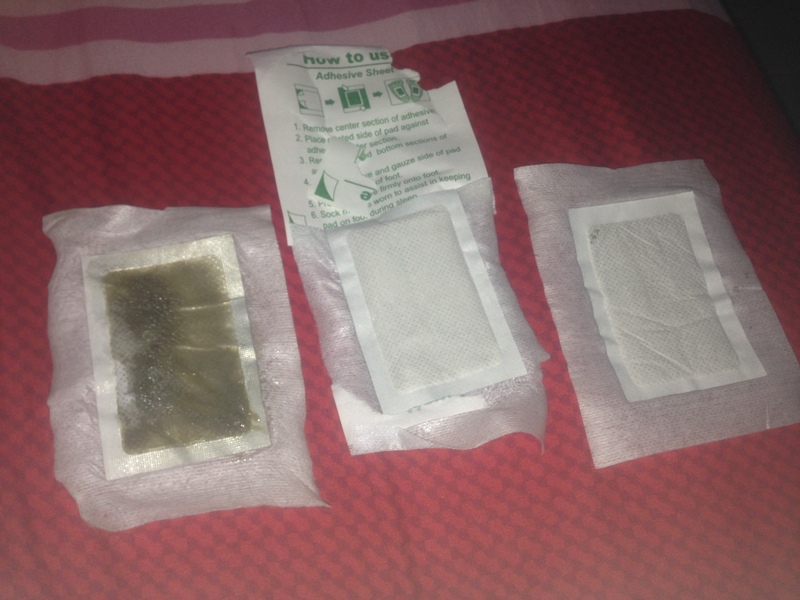 How foot detox patch works? 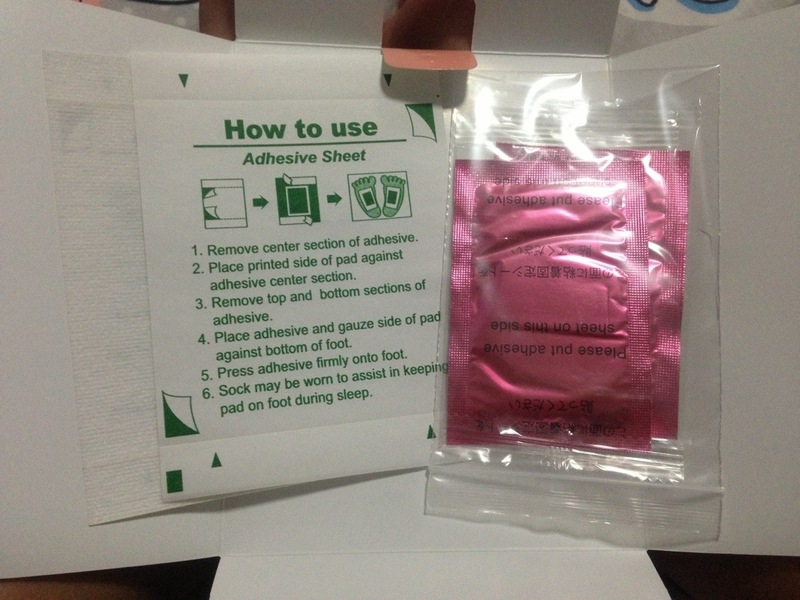 Paste under your feet & go to sleep, simple as that. 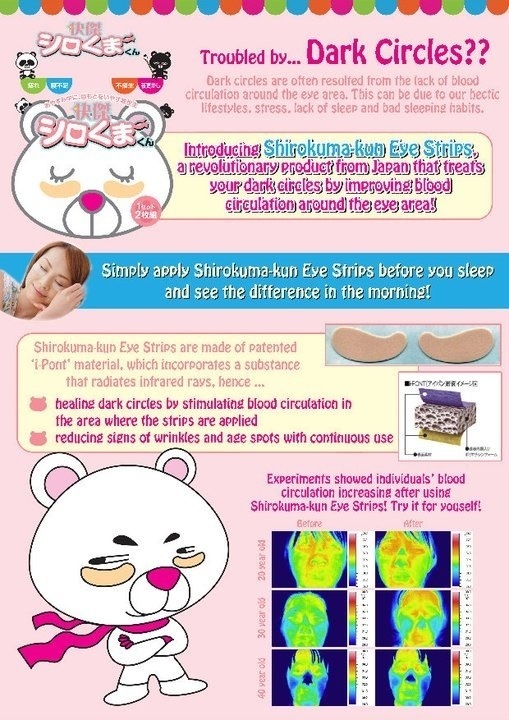 It will draw toxins out of your body while you sleep. 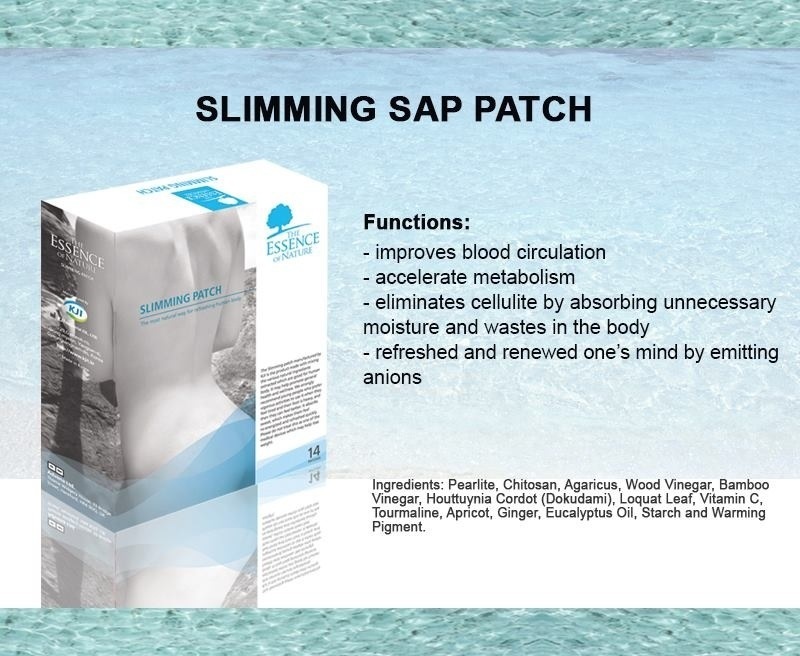 Most detox patch comes with specific effect depending on the ingredient they put in.. Some reduce blood pressure, treat depression and aid weight loss.. Of course it’s not an overnight thingy! 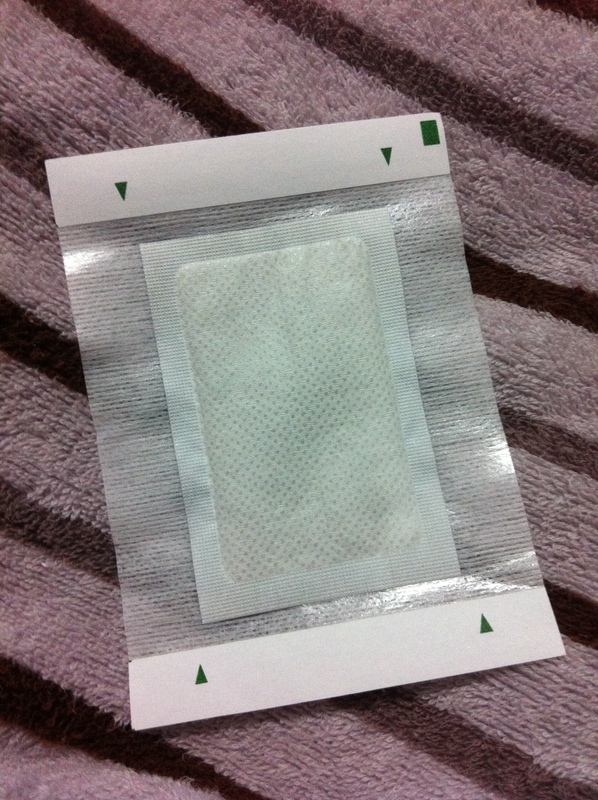 You have to paste for 7-30 days (depends on product) for the detox patch to take effect….. BUT…. 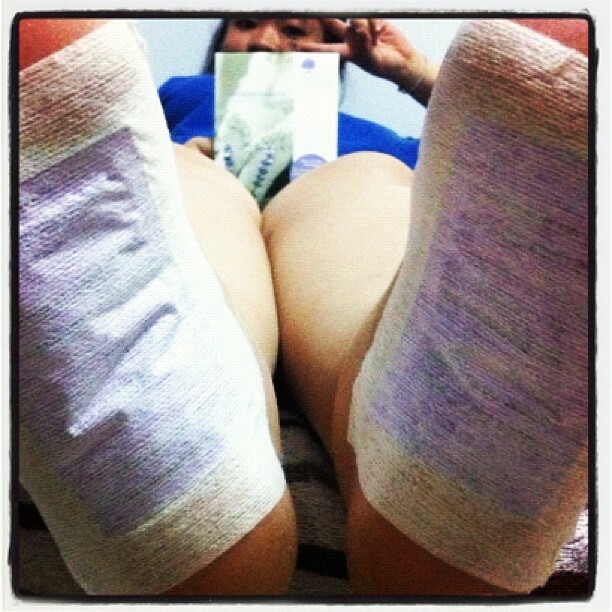 I have with me here, my all-time-favourite, The Essence of Nature foot detox patch! This is not sponsored product or provided by any vendor okay!! I purchased them for my own use and just randomly decided to fork out one pair to answer my own query!! How am I going to test it out? Well, I’m just gonna paste one of it on a piece of paper, one of it on my tummy and one pair (as usual) on my feet.. Now, GO TO SLEEP!! 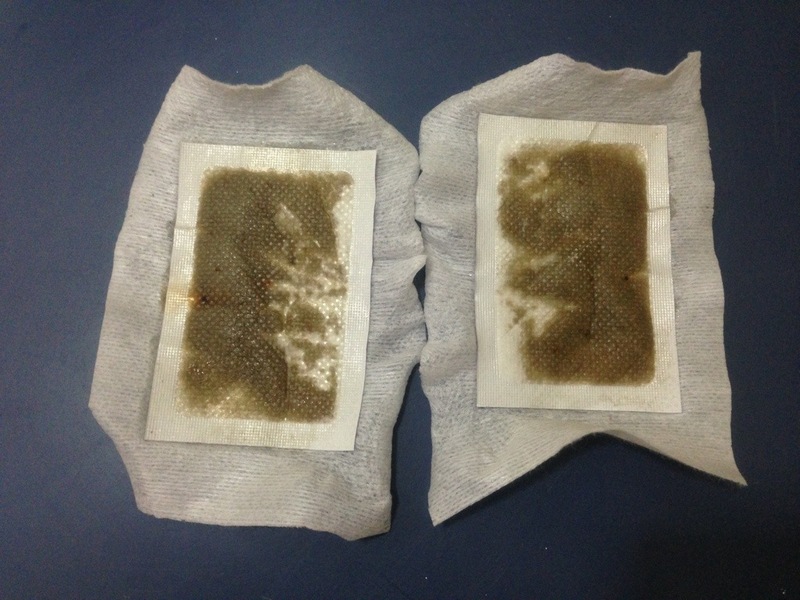 The patch (left) on my feet shows that it’s had absorbed my toxin. I supposed it’s normal for the whole patch to be damped like this? Or am I that toxin??.. The one on my tummy (right) doesn’t seems to have any effect too, or maybe just a little on the top left corner..? I’m sure my tummy is warmth but still NOTHING significantly changed.. Conclusion? This indeed it’s a foot detox patch.. It’s not like you paste on something and without ventilation it will turn sticky/darkened.. If you’re keen to try out, just head down to any BHG outlet (ALT department) and it’s readily available for your purchase. Remember I posted on my lavender foot patch previously? Today I’m gona share with u my rose sap patch experience! Everything is good, nice scent nice good sleep! Patch became brown! Sleep even better! I think lavender’s is really good in aiding one to zzzz!! Still feeling the same. Feeling the same means not any better. But at least I still slp well! 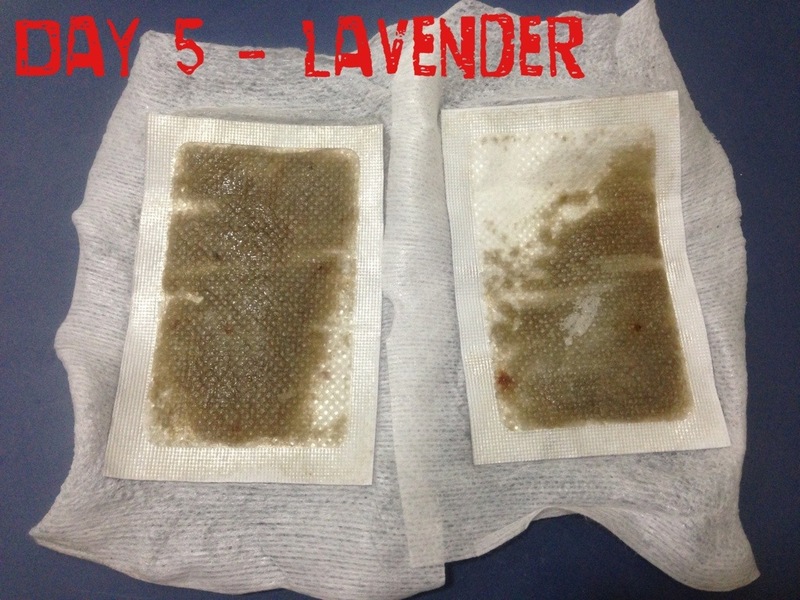 I also notice that lavender patch seems to ‘release’ more moisture the next day – as compared to rose sap patch. See my last pic above, my foot is wet when I peel off my patch. It’s not water (perspiration) btw.. It’s kinda sticky residue??! I don’t know..
Now you see why I say it’s good to have prepare tissue by you side in my previous post? One more I notice aft the 5th day… Lavender patch seems to have this purple spots appearing when I peel of the next day.. Is that proof of lavender?? Haha! I will get more of this patch again when they are having sales!!! It a ‘high investment’ to buy it at regular price!! LOLX! No woman can resist SALE!! I’m one of those who can’t!! 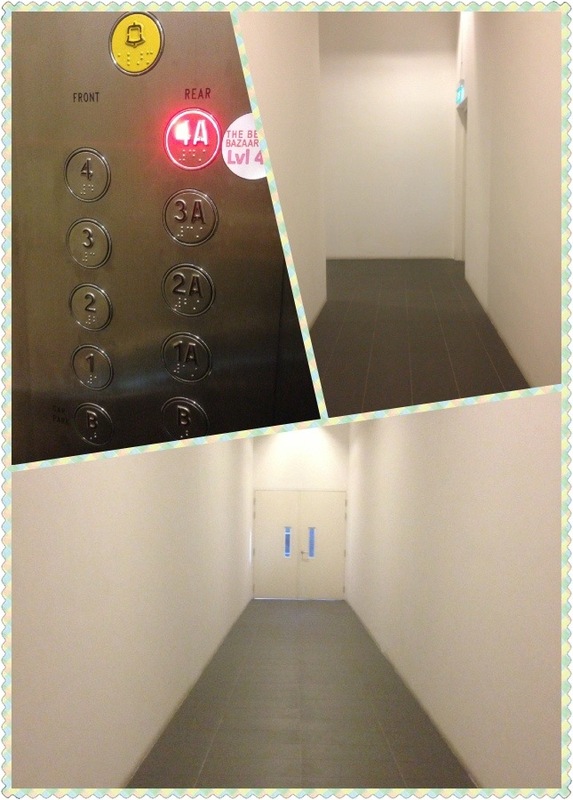 It’s my 死穴 (lethal point).. Sale is a good time/chance u can grab something that u usually will not! Why not?? well, probably because its too ex? Or probably u’ve not used it before so not confident in that product? Or maybe ………. nevermind!! I believe pricing is the main reason! Hahaha! 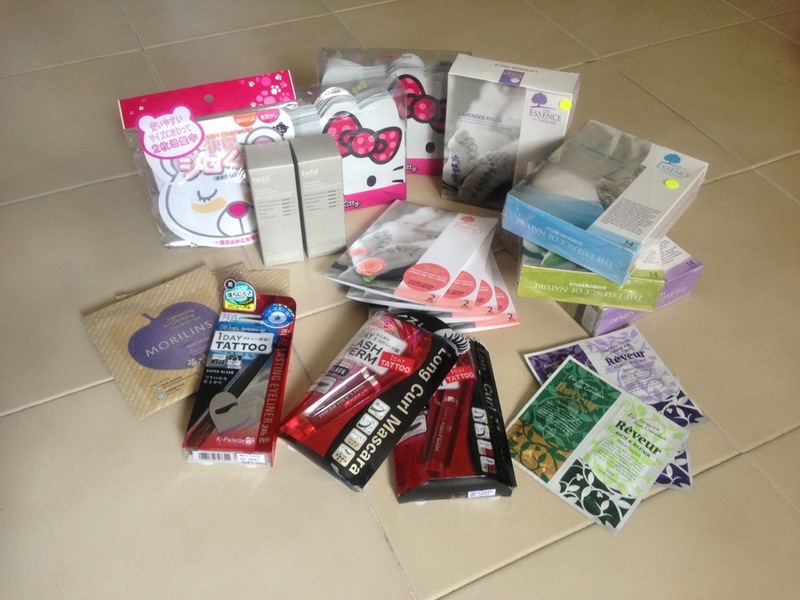 Today i’m going to share my HAPPY BUY at Japalang’s Beauty Bazaar Sale!! 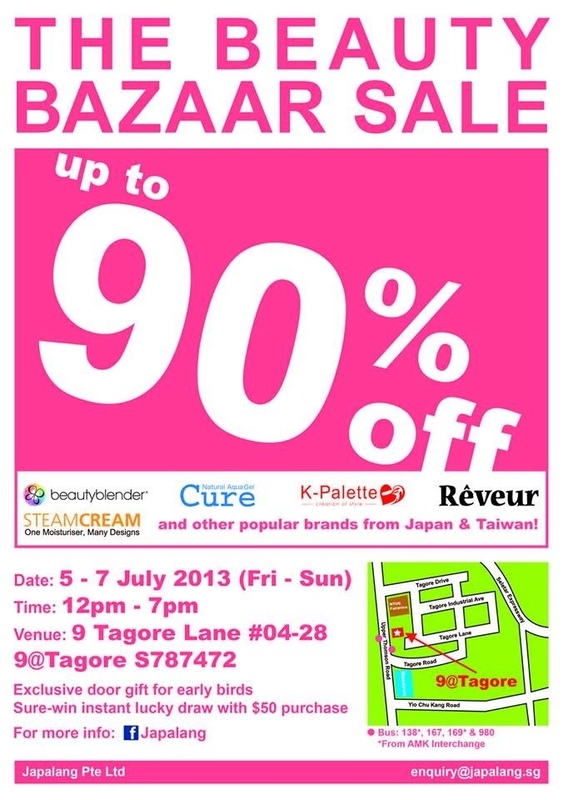 This Beauty Bazaar Sales starts from 5th to 7th July, 12pm – 7pm!!! What will you see at the event??? PLENTY! 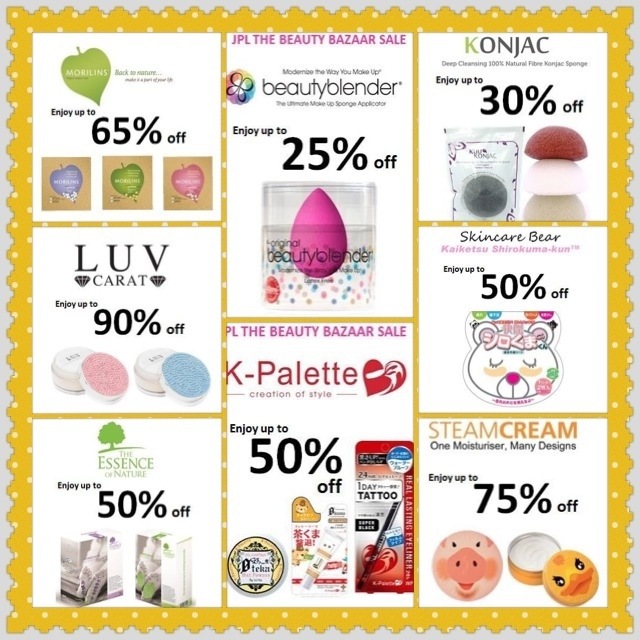 mask, beautyblender, konjac, mineral power, steamcream, foot patch, blah blah blah…..
By the time u read this post, sale already ended!!! Don’t want to miss their sale again? 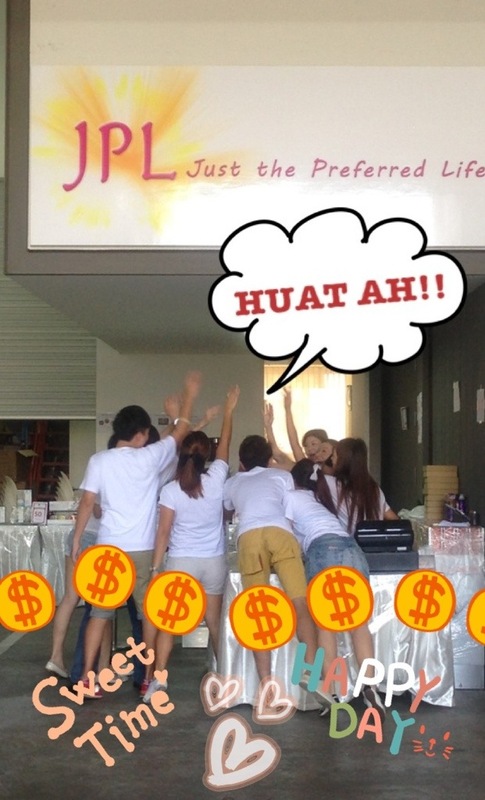 Like Japalang Pte Ltd FB Page and you will be the first to see their latest news!! 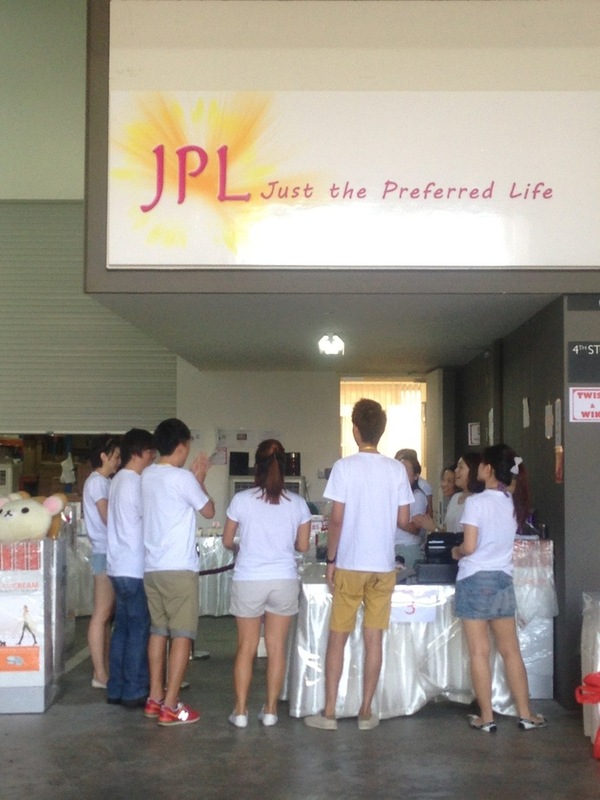 JPL Sale!! Good thing is, it’s pretty near my place so going to 9@Tagore isn’t a big problem!! I reached kinda early, like (erm) 11:15am?? 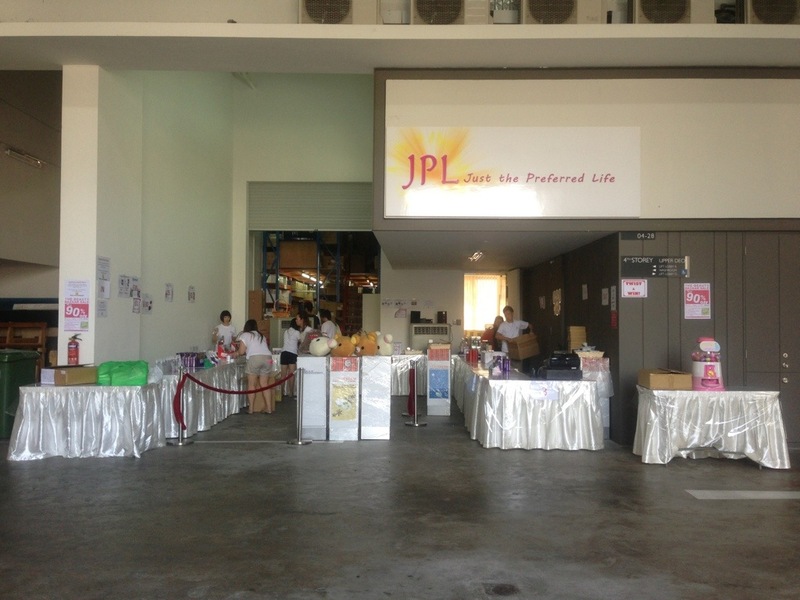 JPL staffs are all still packing and moving stuffs.. There is this lady whom i didn’t get her name, gave us (early birds) a friendly smile and thank us for coming down (so early) – lol! About 11.30am, she walked to us with a bottle of juice and this time, she tell us that the sale will start in another 10-15 mins time!!! Yeah for the prompt update!!!! 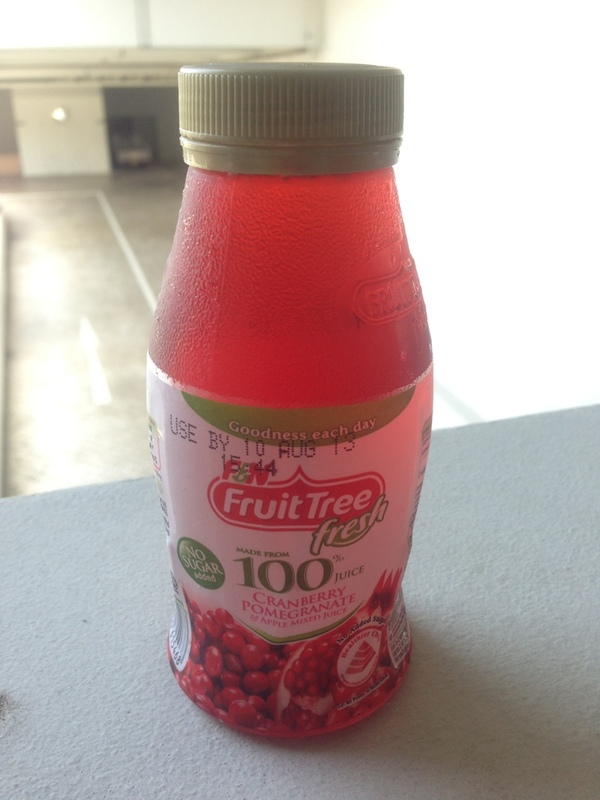 Yeah again for the juice – it’s not some alibaba juice ok!! It’s F&N Fruit Tree Fresh!! Call me cheapo! But this buys my patience!! My happy meter is full again! Ok.. I will skipped the shopping part and jump straight to conclusion! I had an awesome time at the sale! Every counter had a staff waiting to serve u and answer to all your questions! 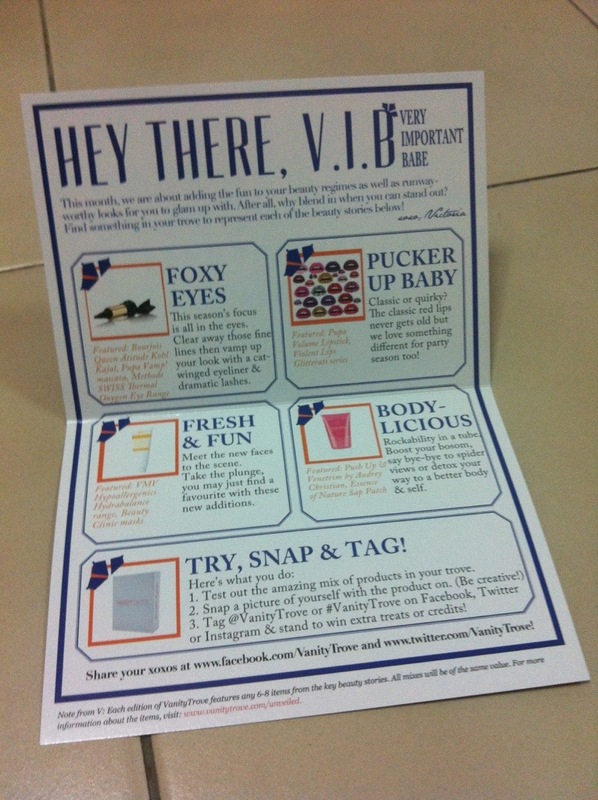 Staff will promote their products yet doesn’t hard sell – no stress! They know their product well too! Did buying without stress cost me more damage?? YES it did!!! “Sale” plays a part – BIG part!!! See what I’ve bring home!! Masks.. 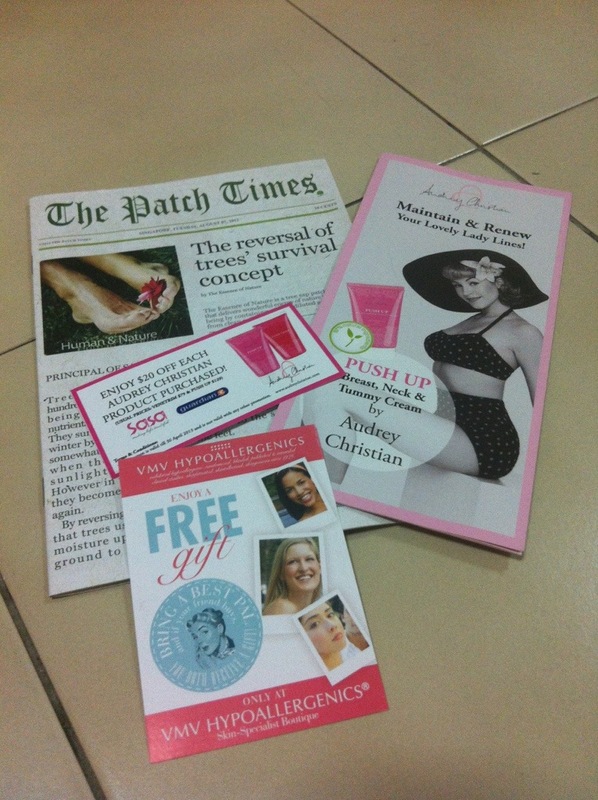 Foot detox patch.. Mascara.. Essence.. Shampoo.. Treatment.. Shall we look at them individually now? 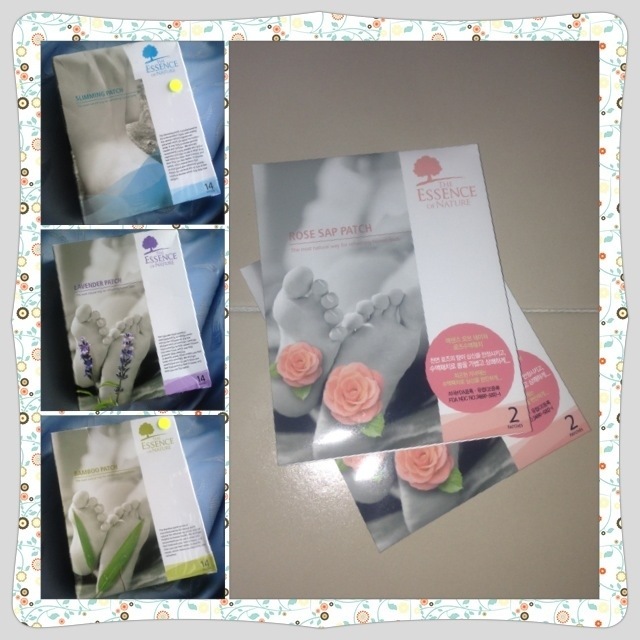 SexyLook Hello Kitty Moisturizing & Whitening Rose Mask!! Seriously I’m not a HK fan but this ain’t gonna stop me from getting a good mask! Non-HK lover, don’t worry, you won’t look like HK when you’re doing your mask. Neither will you look like one when you’re done. It’s just marketing business, HK is a trend! And what’s better? Sale, of course! 3 boxes for $10 (UP: $9.90 per box if i didn’t hear wrongly from Doris (one of JPL staff)!! It’s almost like buy 1 get 2 FREEE! And u know what? 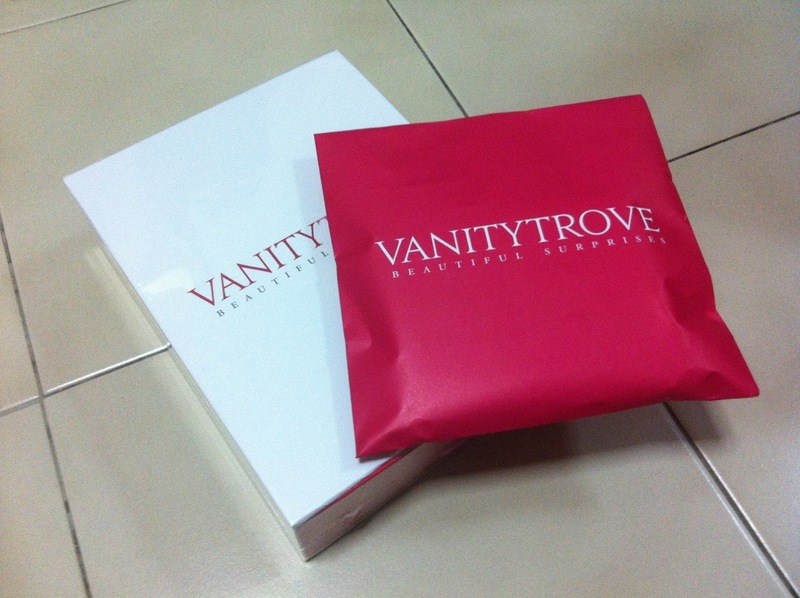 I not only purchased 3 boxes, I was given a box for free too – won in the lucky draw after my payment!! That’s not all!!! 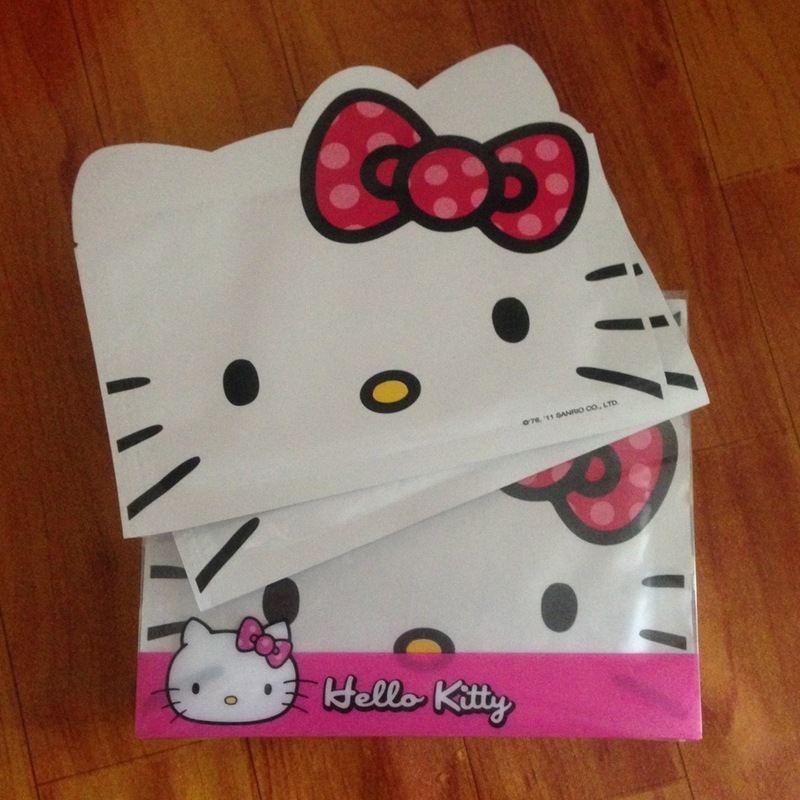 Every customer gets a door gift too and I bet u know what is it.. (Yes..) a HK mask! 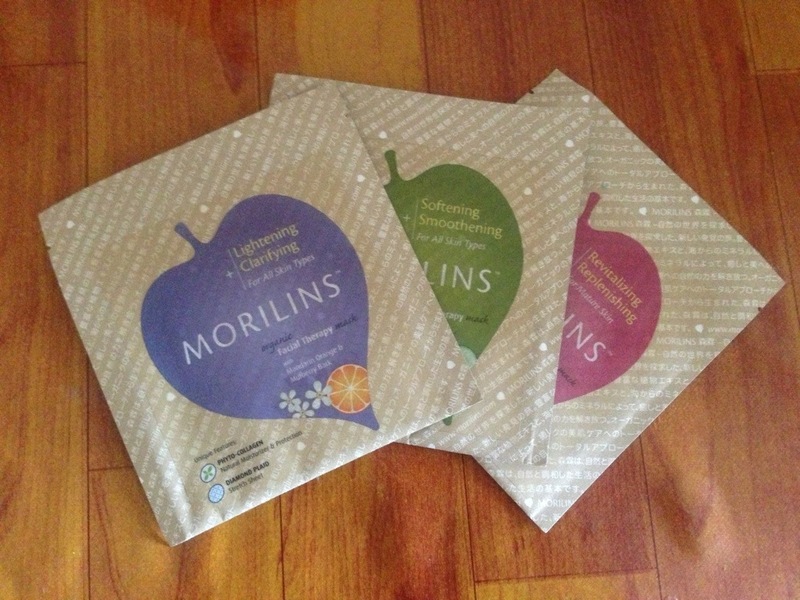 Next in the bag, masks from Morilins!!! This is definitely another good buy!!! 3 for $10 (UP: $9.90 per pcs)!! Ain’t that too good to be true!??! Although I only bought 3 but trust me, I’m already regretting for not getting more now! Why did I not grab the eye mask too!? Shucks! Now open your eyes BIG! Coming up next is mad crazy sale item!!! 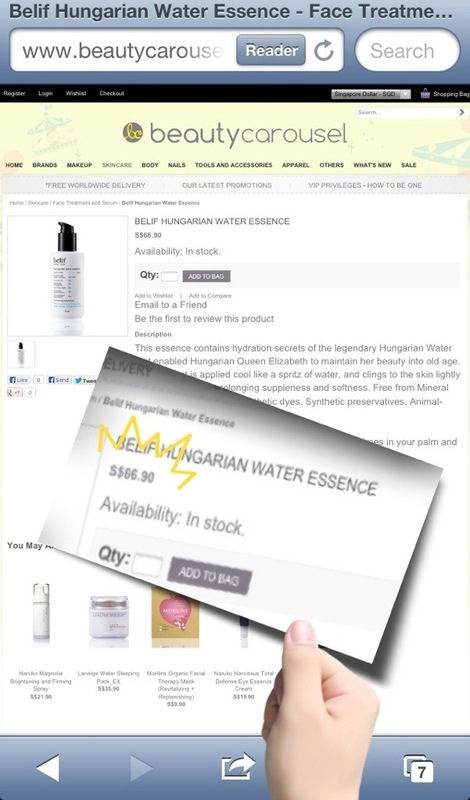 Belif Hungarian Water Essence!! 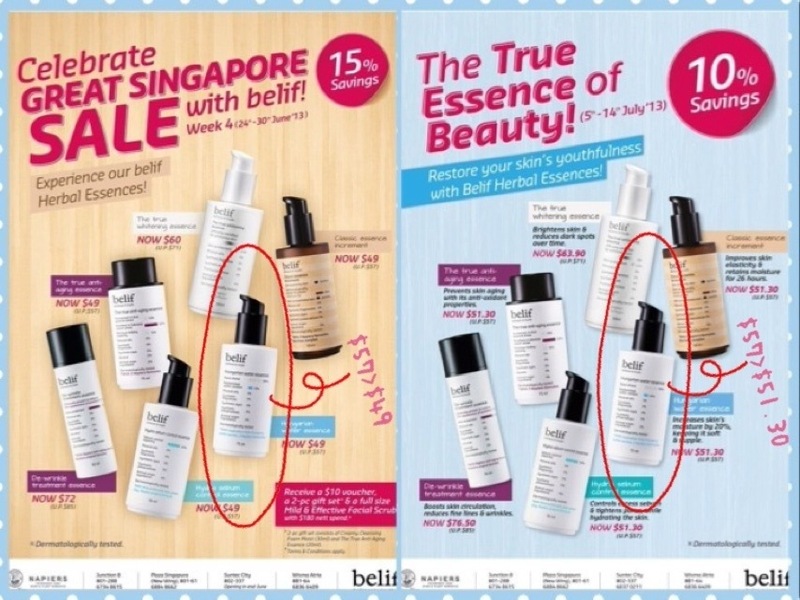 I’m using Belif products now and this essence sale came at the right time!! (I was still planning to grab them at belif store if I happen to pass by one! And now…. Mwahahahaa!! Call me lucky!!!! This Hungarian Water Essence is a very light weight transparent essence. slightly heavier than water/toner only. It gets absorbs very quickly and and your skin can almost immediately feel moisten! Plus it does not feel sticky too! 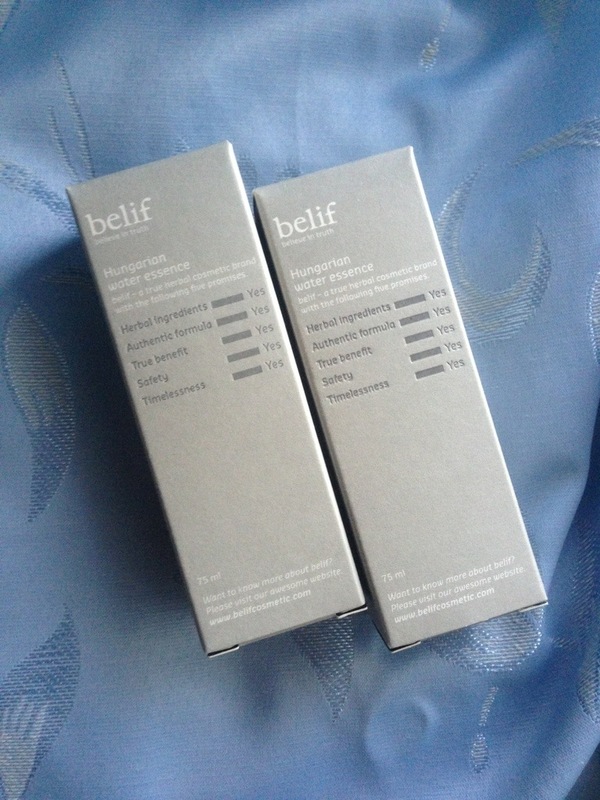 *thumbs up up up* You can read up my previous post on Belif Product HERE! Let me share with you the retail price first before i disclose the GREAT SALE PRICE i paid for!! At Belif store: $57! Even after greatest discount, it still cost me $49! But nevermind, since they don’t know me!! LOL.. let’s continue! 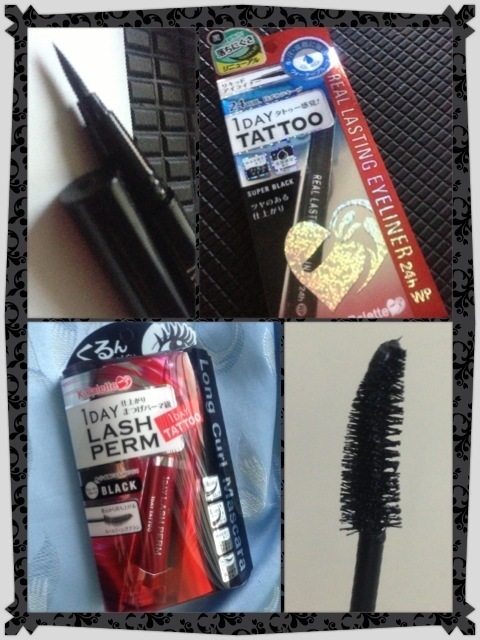 K-Palette Real lasting Eyeliner and 1 Day Lash Perm Long Curl Mascara!! Eyeliner first! 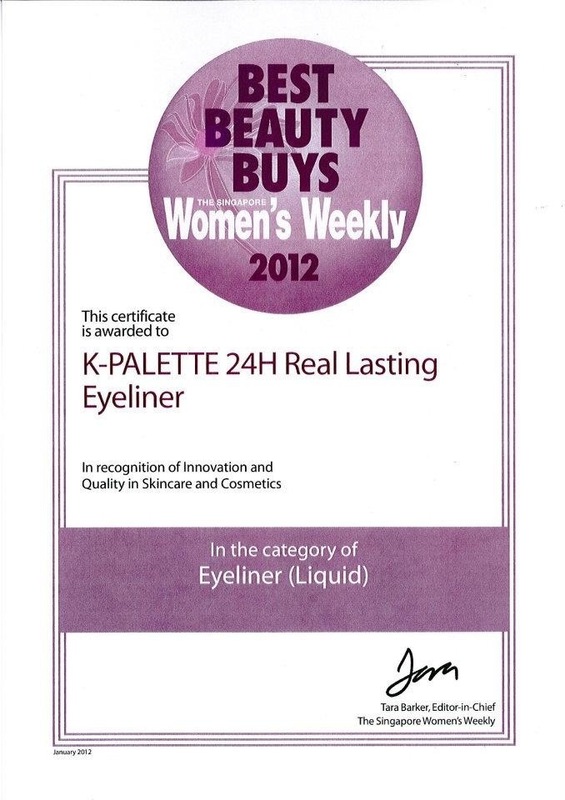 This is a waterproof liquid liner that has won several awards!! How can u not be tempted to get one?? Discount is not a lot for this.. $16 for 1 eyeliner (UP: $19.90)? As my shopping bag gets heavier, my mind starts to get lighter…! I can’t think anymore!!! So just grab!!! 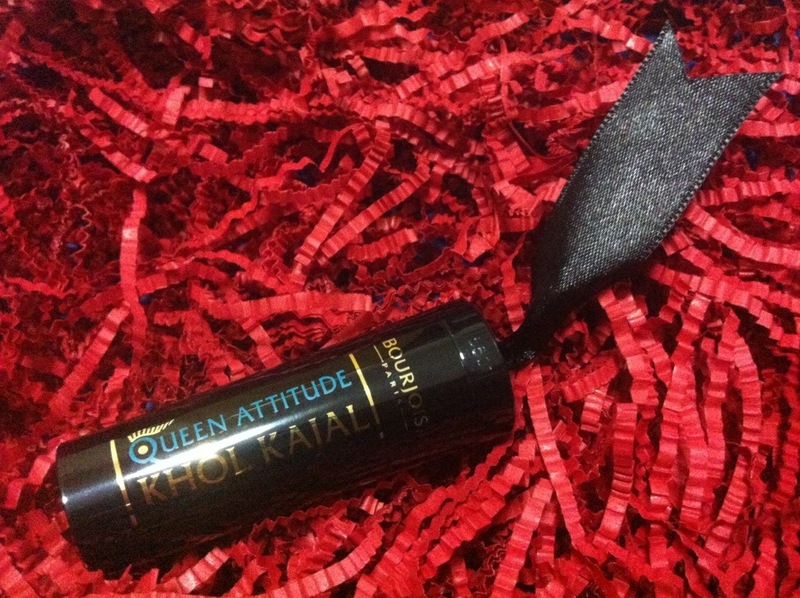 Next is this wonderful mascara! At this sale event, you can get it at $21 (UP: $25.90 I think) Yes, not very much good deal but still.. (like i said) at that moment I already lost my mind!! Everything is “sale! grab! sale! grab!” ROFL! 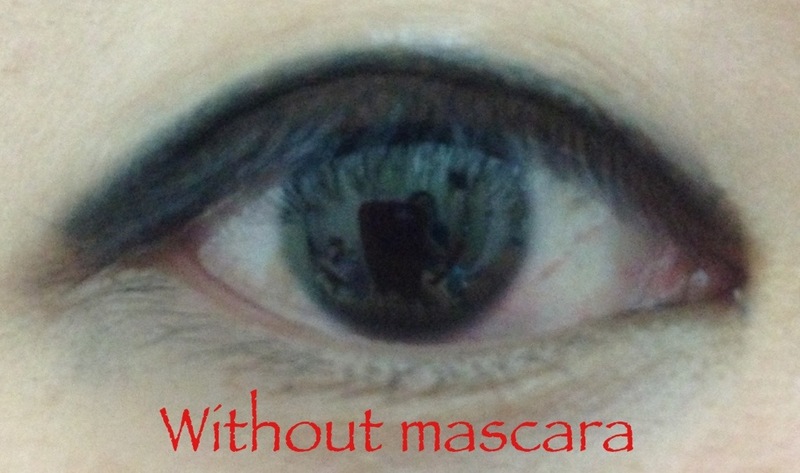 Update on 8 Jul: Images below shows the mascara I wear in the morning before heading to work! fresh and clean look ya? 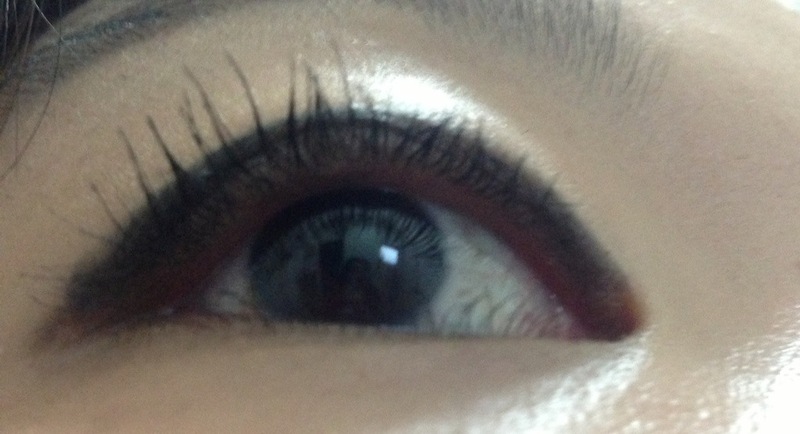 After almost 8hrs (it’s 2pm++ now), totally no sign of smudge nor “gothic” look! 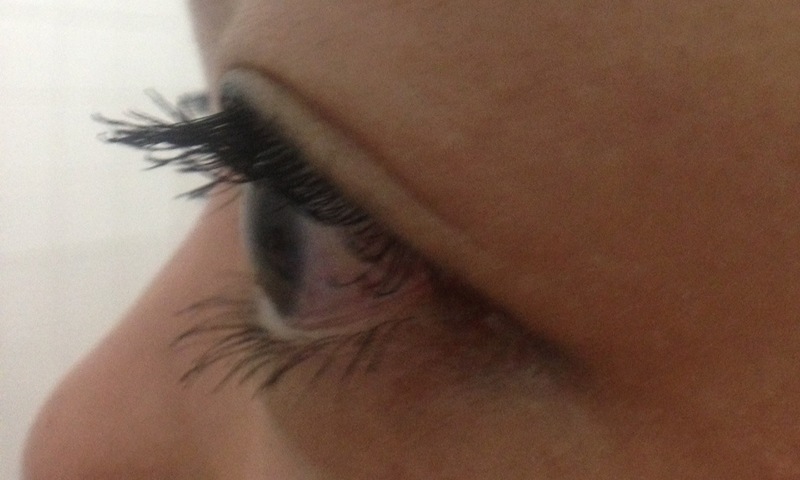 Still clinging to my lashes nicely! 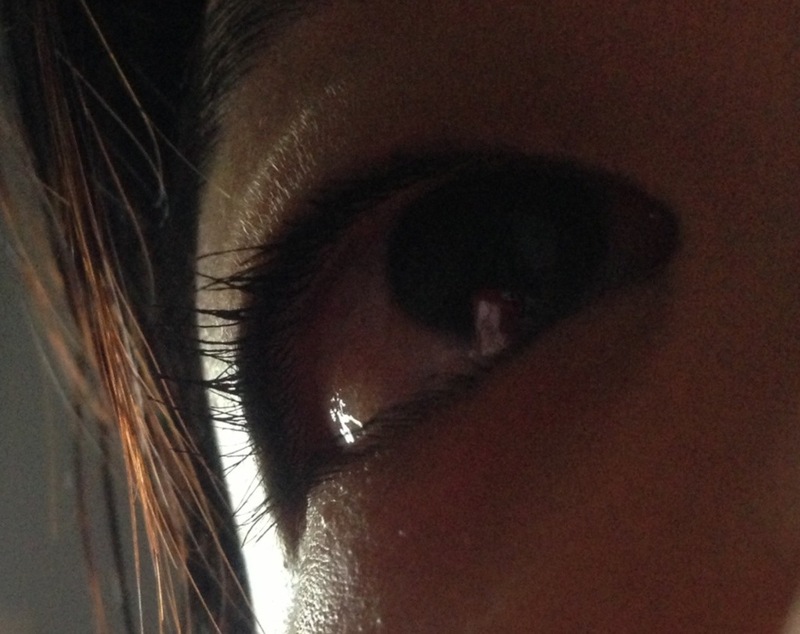 8pm: Now that I’m home, my mascara is still smudge proof! No black tears no black shadow! You see!! This is really smear proof smudge proof waterproof!! And I think… I’M LOVING IT!! 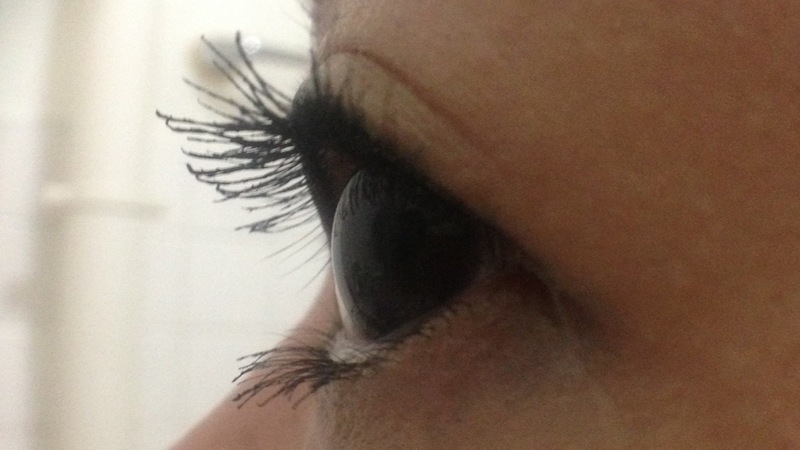 There’s a newer version of this mascara which is “volume curl mascara”. Both have very good review if you do a simple google search. 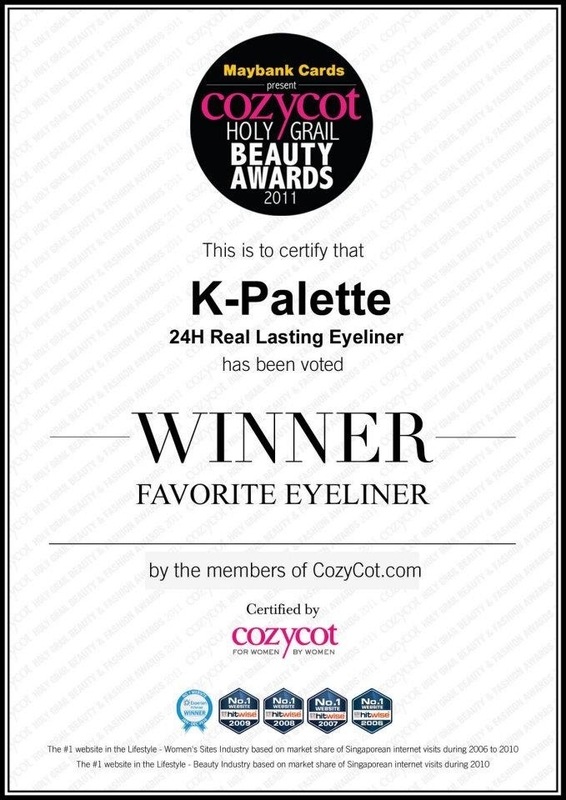 By K-Palette, here’s another goodie! Overnight Eye Mask! This deal is $10 for a pair and $14 for 2 pair (twin pack)! If u buy 2 packs of twin pack eye mask, it’s even cheaper!! But erm… I forgot how much it is..
I’m using it now (yes, its bed time already) and probably will update you guys how is it when I’m ready!! Will i continue to use this mask? OF COURSE – at least until this pcs wear out!! 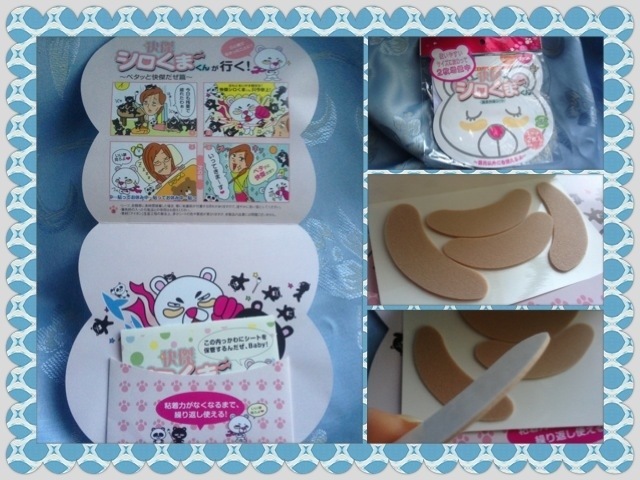 According the the staff, this mask can be reused for 3 months – as long as u keep it clean/hygiene!! After that i may not continue.. OKAY! Get ready once again to see the star product in my shopping list! The Essence of Nature foot detox patch!! This is the MAIN MAIN MAIN reason I’m here actually! To grab this foot patch!! $20 for 2 box!!!!! No they’re not expired goods nor defect patch!! They’re selling at such low cost is because the box (packaging) is dented/damaged!!!! There are new type of foot patch available too, ie: rose sap patch, eucalypts patch, warm sap patch, forest sap patch! But these new type is $21 per box! They sell individual pack too.. 1 pair for $4, 4 pairs for $10!! 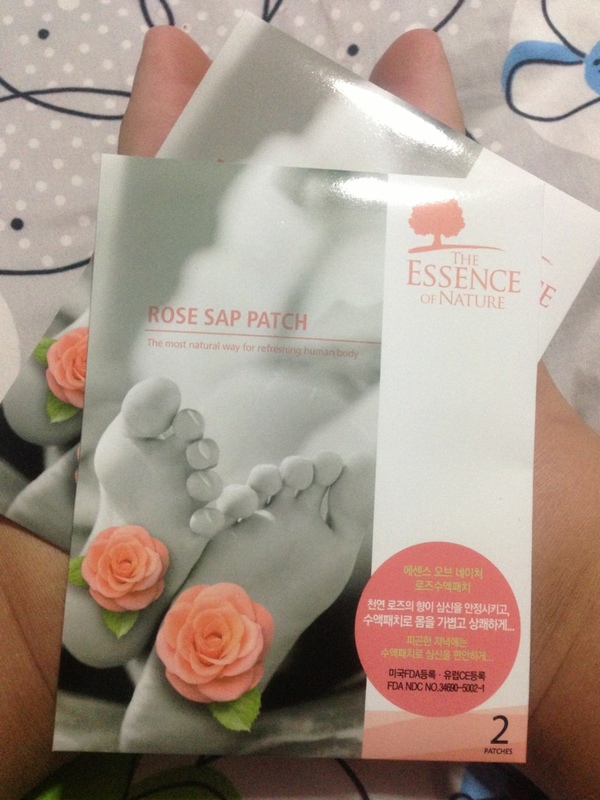 So I bought 4 pairs of rose sap patch too! 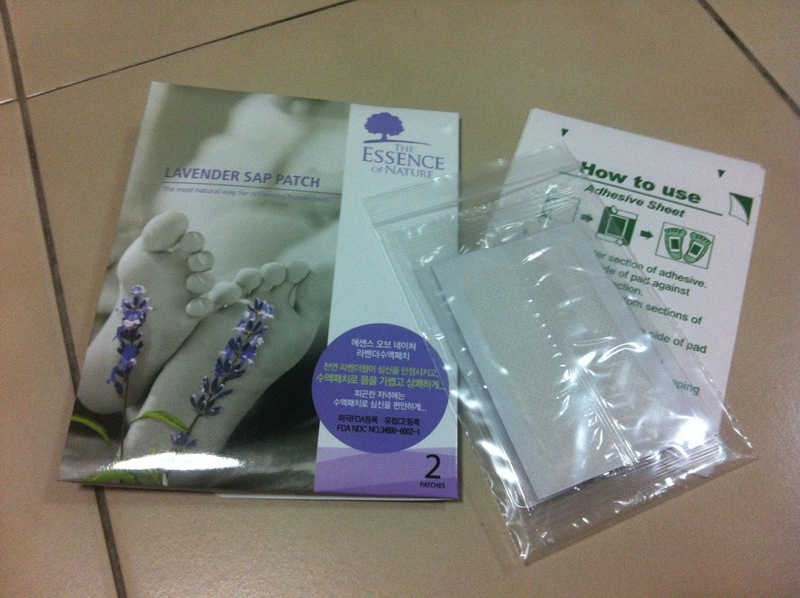 You can read my previous post HERE on the lavender foot patch I got from Vanity Trove.. I will be doing the rose sap patch soon! Below are some benefits summary I’ve grabbed for The Essence of Nature Fb page! If you are keen to find out more, give them a like HERE and you will receive their first hand news update!! Last but not least…….. Below is a “last-minute-out-of-my-shopping-list” item I grabbed at the cashier counter because I’m still short of $3 to give me extra chance of lucky draw! 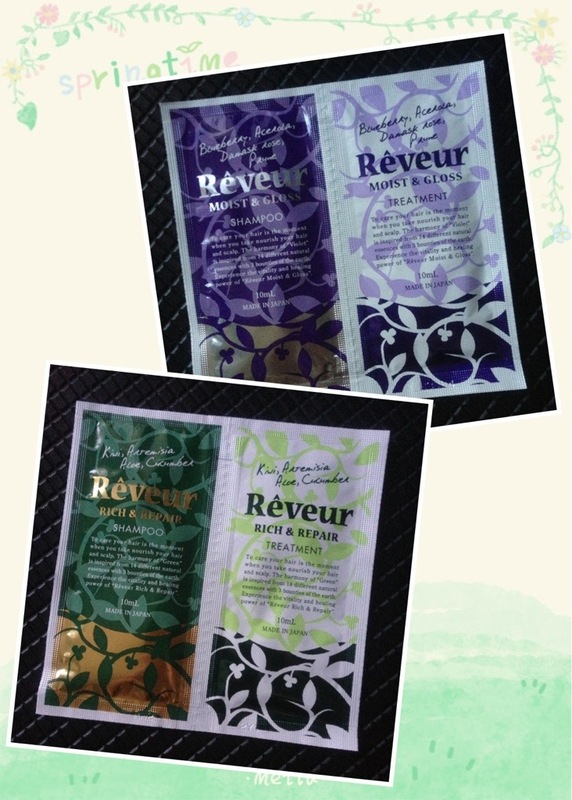 Rêveur!! Understand from JPL that this is a silicon free shampoo and quite a hooha in Japan! 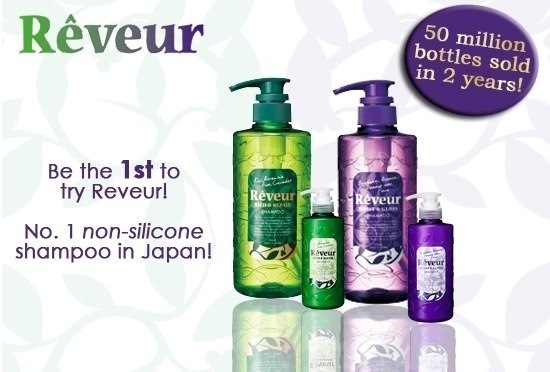 Rêveur’s unique formula of fine and well-foamed bubbles reduces the friction against the hair. This effectively avoids the common problem that non-silicone shampoo faces, which is to cause hair to be rough due to the lack of silicone. I tried it today and erm… Sorry, I dono if its because I’ve too much hair or the sachet has too little shampoo for me… I can’t seems to lather much foam. Is it because it doesn’t have silicon?? I don’t know. Seems like it’s not my cuppa tea.. But surprisingly when my hair is dry, it does feels more tame and less frizzy. My only problem is that the shampoo does not lather enuff foam for me to feel like i’m shampooing my hair.. Conclusion, this is one great sale event that I will look forward to again next year!!! Good buy & good products! Stay tune and I’ll update this post with review again..
PS: Pardon my typo for now! I’m tooo slpy to proofread anything. I will tidy up this post soon! Good night and cya soon!!!! Goodness… This is a long lost post! This post was created in Nov 2012 but only now then i remember I had a draft that is not published yet!! So! What is so exciting here that i’m sharing today?? Hahaha! It’s a detox foot patch by The Essence of Nature! No! it’s not Kinohimitsu! It’s The Essence of Nature…! Same?? i don’t think so! I kinda like this better.. Why? 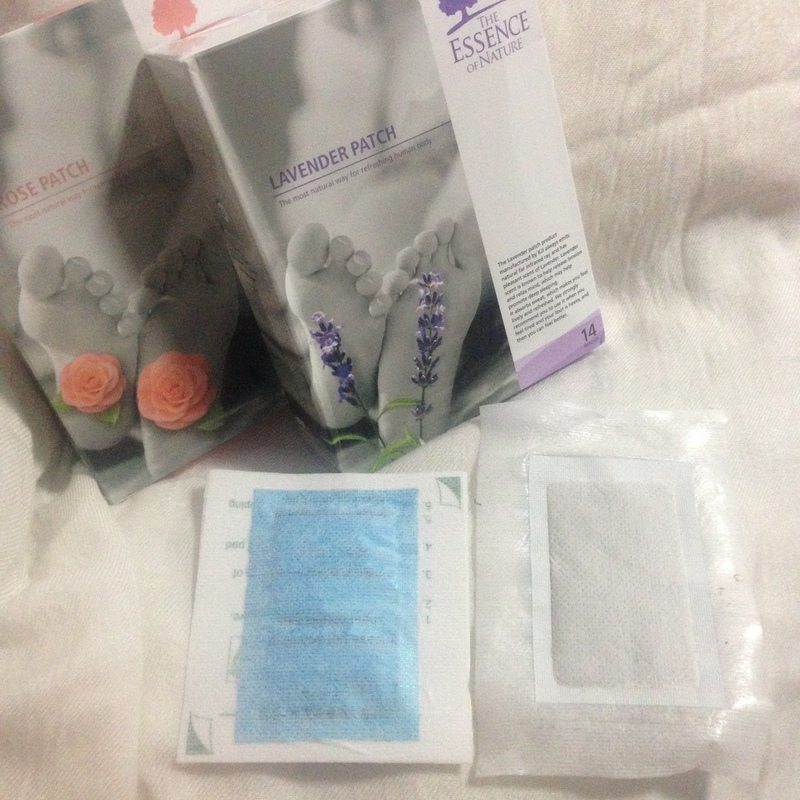 Because this foot detox patch does not have those strong herb smell, What it has is only soothing lavender scent that helps you (for this case is me) to relax and went to lalaland almost immediately! 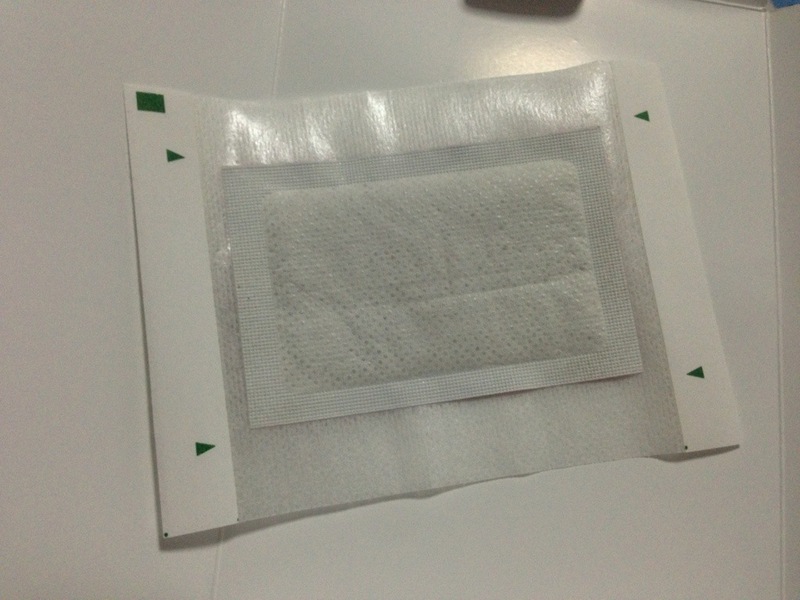 The Essence of Nature is a Korean traditional paper sap patch made of healthy natural substances such as wood vinegar, tourmaline, chitosan, pearl stones, highly purified silica, starch etc. 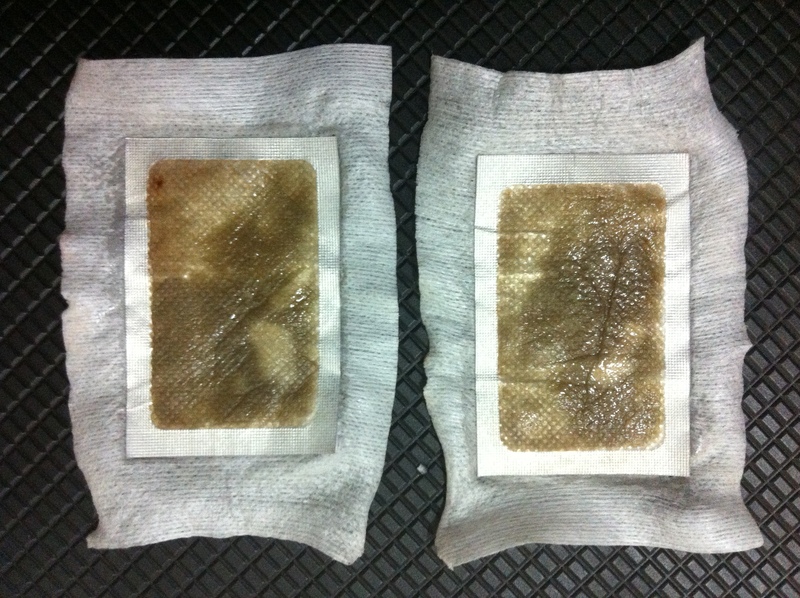 By reversing the energy that trees use to draw moisture up from the ground, the sap patch is capable of drawing unnecessary water matters from the body by applying the sap patch to the soles of the feetIt is unavoidable for human beings to have their bodily waste accumulated in their feet, which provide the main support for the body. This is easily observable through daily experiences like stained socks at night and swollen feet when one gets tired. Accumulated wastes in the body can lead to dropsical legs, fatigue, and even disharmony in the body when metabolic process does not function properly. 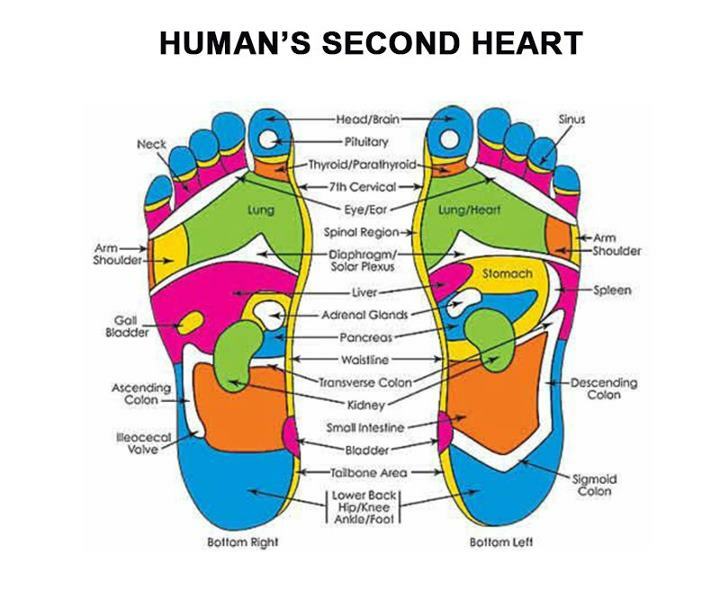 The soles of the feet, where acupuncture points are concentrated, are a reflection of all parts of the human body. They have a great influence on blood circulation, and, as such, are referred as the “second heart”. Toxic matters are often stagnated in the feet, which makes the soles of the feet the best areas for application of the sap patch to experience its beneficial effects. This pair i got here is from my October Vanity Trove box! 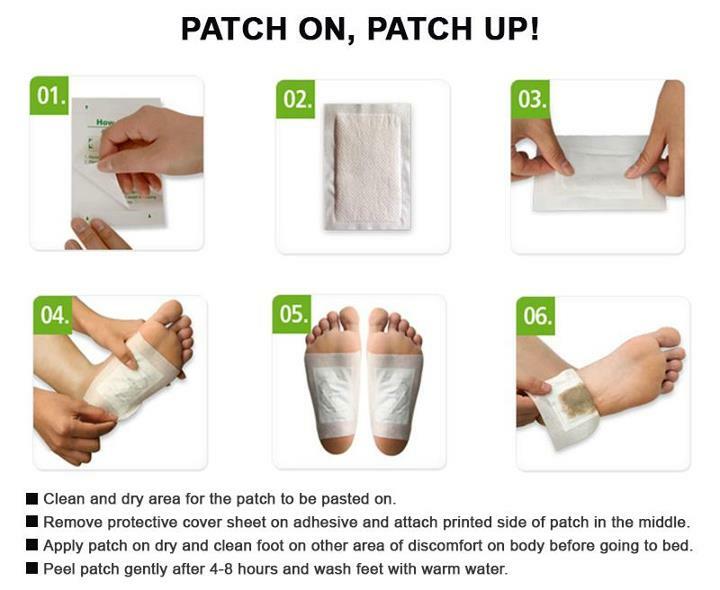 The retails price for a box of foot patch cost S$29.90 and there are 7 pairs in a box! If you ask me, I will say they’re not cheap! But at least it comes in ‘small’ pack thus u need not purchase 30 pairs (1 month supply) at one go! That will cost at least a hundred bucks! Economical pack for girls who are always on budget like me! You can read up from my previous post HERE to see what other stuff I’ve got in my October Vanity Trove..
After u have adhere the patch nicely on the plaster, slam it on ur feet! Now that’s what I call HAPPY FEET! Hahahah… The next morning i woke up, the lavender scent is almost gone. 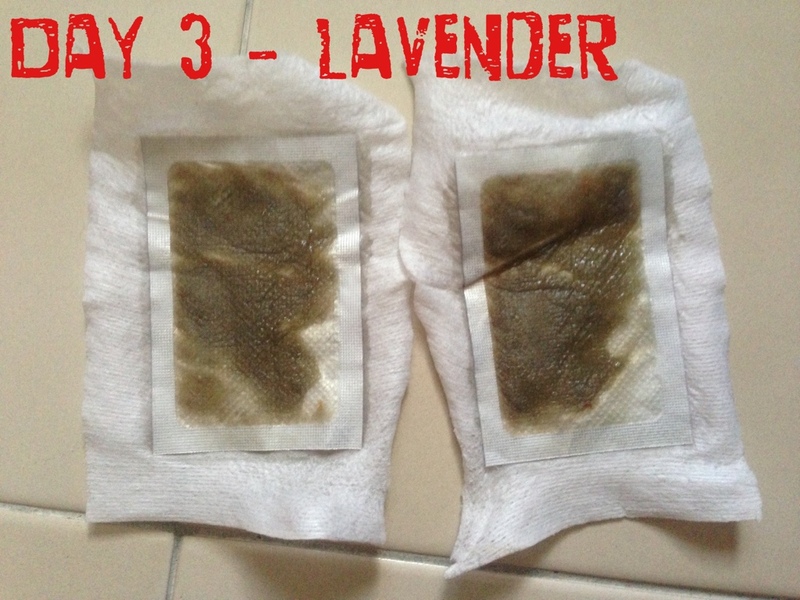 But when I remove the patch, the scent escaped a little (& u can smell a hint of lavender)! Haha! From below pic u can see how detoxifying it is.. The ‘powder’ in the patch has turned moist and brown and… EEEW! After removing the plaster, your feet feels a little sticky but it ok juz prepare a bedroom slipper by your bed and you won’t leave foot prints around your house! No bedroom slipper? It’s ok la!! 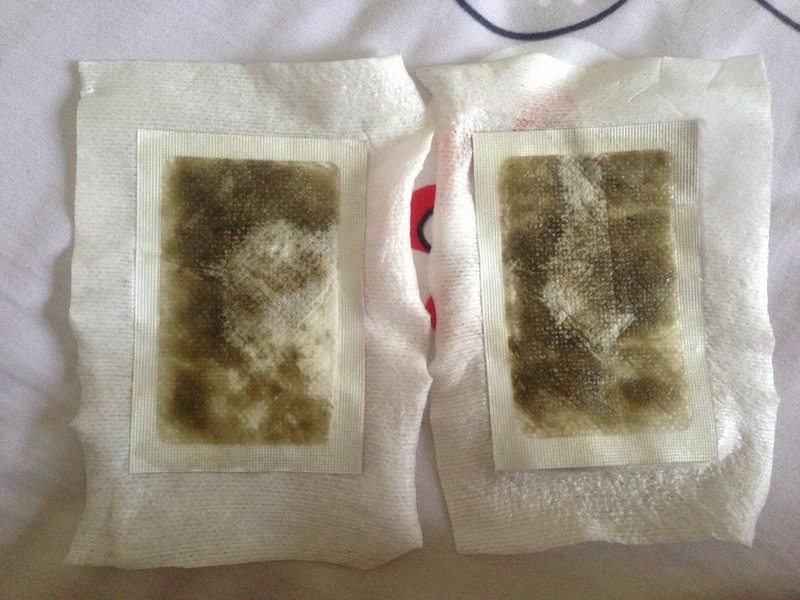 Standby a few pics of tissue by ur bedside and when u remove the patch next morning, just use the tissue to wipe your feet clean! 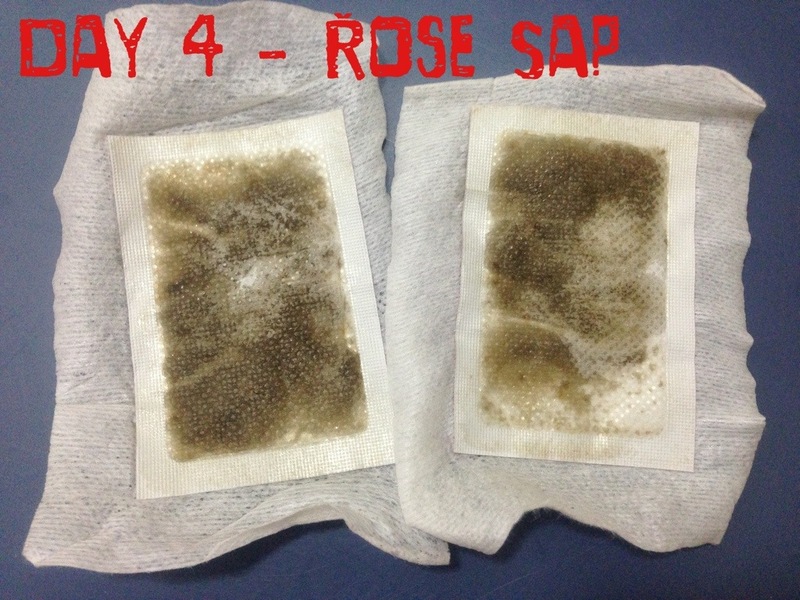 Update: Rose Sap Patch review! I got my trove last night.. really is NIGHT. almost 10pm but still ok cuz i’m still watching TV and listening to my ipod. So what do we have here this month??? Pretty heavy trove! and when i open, i’m quite… amazed! Full size products!! not 1 but 2!! geeezz.. felt so loved! I must say, the first thing that caught my attention!! 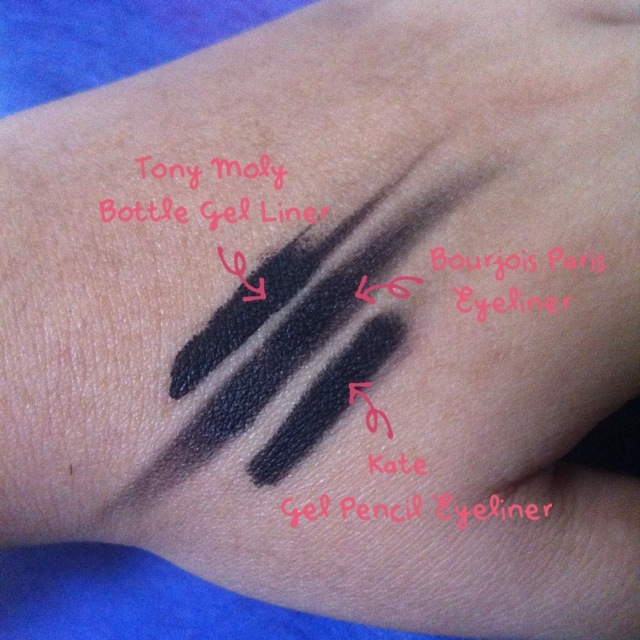 Bourjois Paris Eyeliner! It’s like a lipstick packaging! 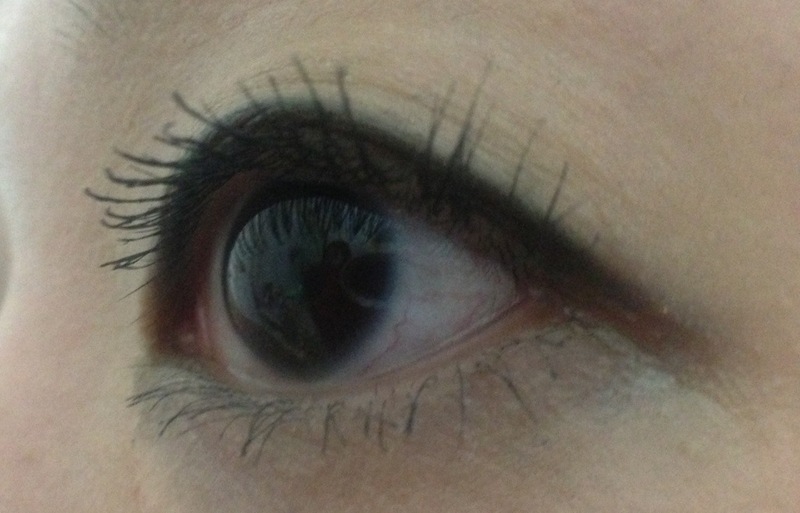 Made mi wonder HOW THIS EYELINER LOOKS LIKE!!?? This definitely is nt sample size ya??? 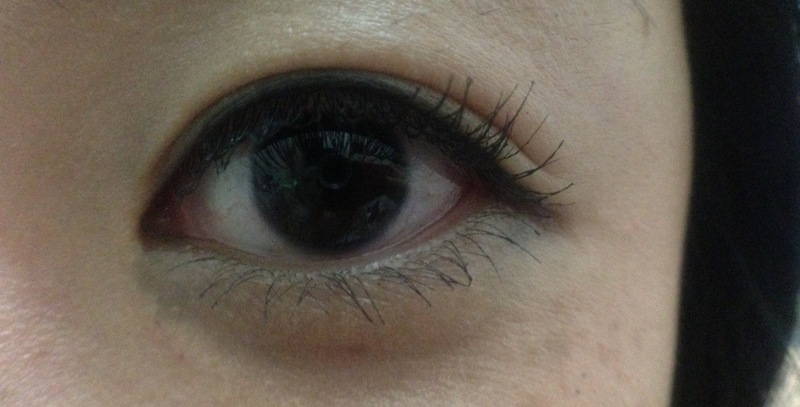 Couldnt wait any longer i twisted open the safety seal and TADAAA~~ Pointed eyeliner! 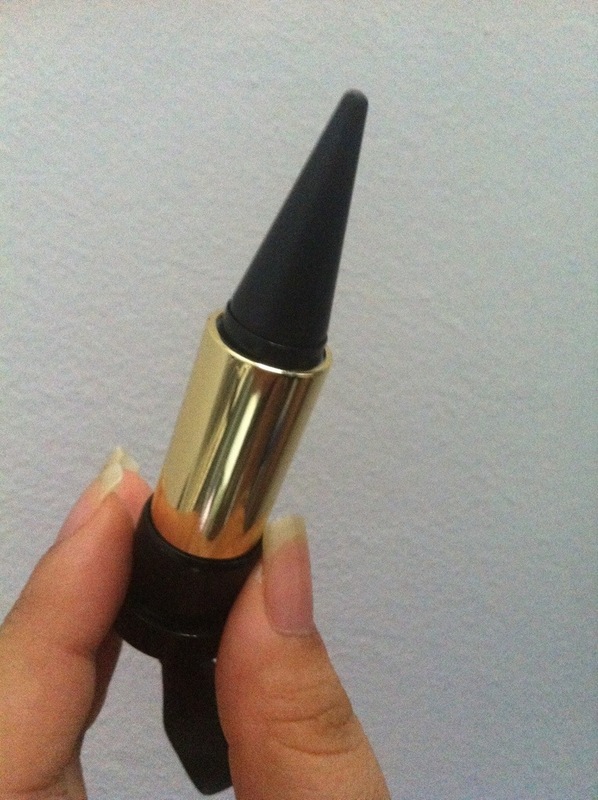 it seems like i can use this to draw super thick black eyeliner! ^__^ Happy girl! 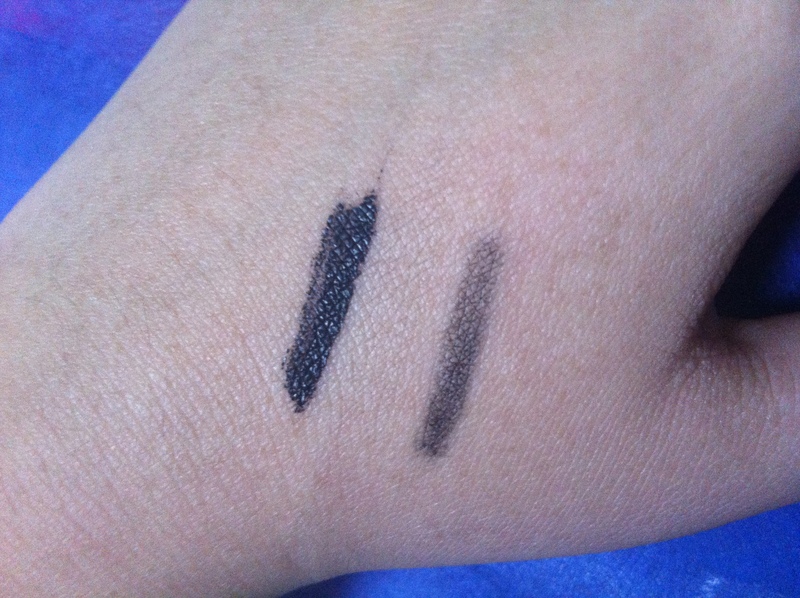 I did a small comparison with my favourite eyeliners.. and i think.. tho i can use this to draw a thick black eyeliner guess i’ll still prefer my existing one.. You’ll know why! Here! this is the little comparison! Your can see the branding in the photo.. You can also see some rub marks on my hand too..
After application, i waited for 5 mins and rub each eyeliner upwards ONCE. Result? TM Gel liner is still wet. BP is not dry too. Kate seems pretty fine already. After 30 mins, i rub them downwards once again. This time you can see, TM & Kate are pretty set already. Indeed smudgeproof! >_< BP’s eyeliner will still smudge. this point i thot it probably is just not smdgeproof. SO!!! I wiped it with a wet tissue.. and! IT(BP) CAME OFF IMMEDIATELY!! Kate was almost washed off too.. but TM is “standing STRONG! As for color wise.. tho it’s all black, but i think BP’s black is quite pretty! 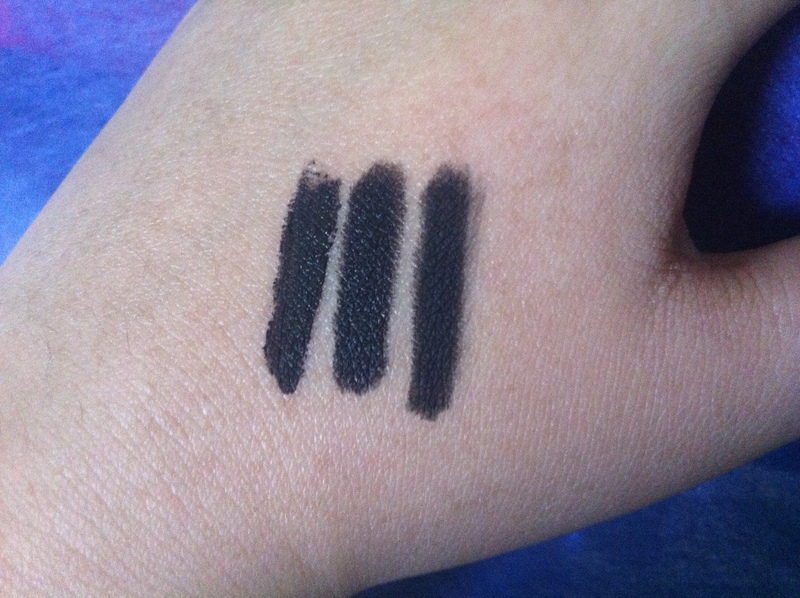 Order of eyeliner is still the same (from left to right: TM/BP/Kate).. It’s not very obvious in the pic but Kate’s black is more yellow base. BP is simply black. TM is Blackest of all black! hahaha! Application for Kate & BP’s eyeliner were pretty smooth! 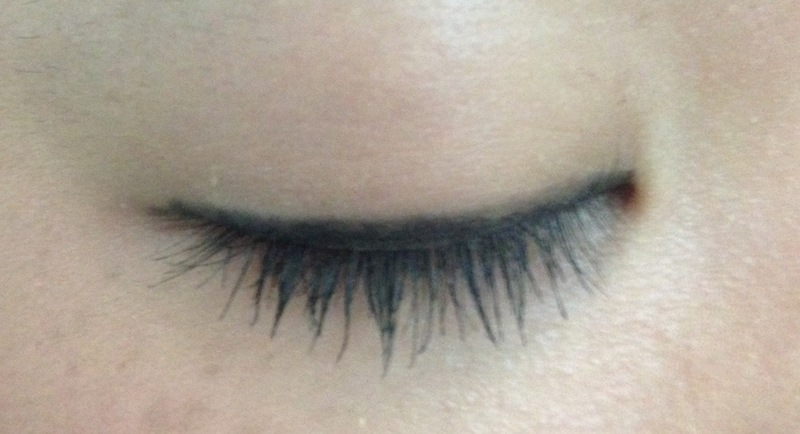 TM gel’s liner as compared loses out abit. So depanding on which type of eyeliner u looking for, i think they each have their own unique beauty. After all the eyeliner makeup, time to pamper your eyes with Methode Swiss Eye Mask, Eye Essence & Eye Cream!! The Eye Essence: Rich in moisturizing and soothing active ingredients, the Thermal Therapy Eye Essence preserves the elasticity and softness of the eye contour skin. 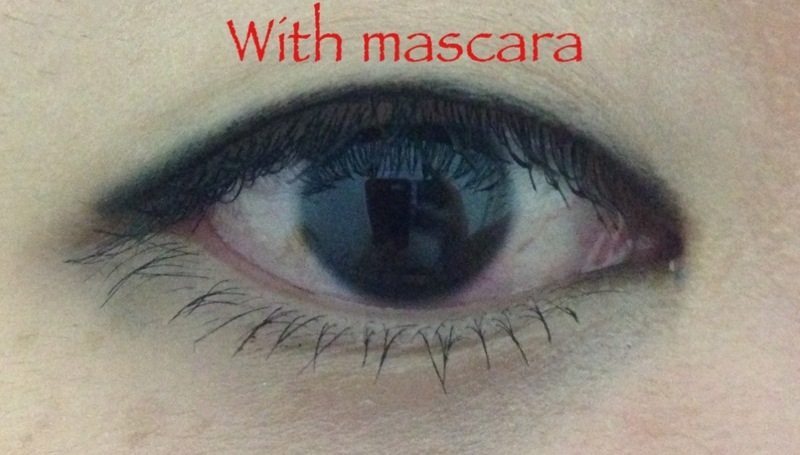 It contains a specific complex which reduces dark circles and unsightly puffiness around the eyes. Cost?.. 15ml for $62.90! Apply on eye contour area before using eye cream. The Eye Cream: Thermal Oxygen Soothing Eye Cream deeply nourishes and soothes the delicate and vulnerableskin around the eye, to reduce puffiness and fatigue and to provide antioxidant protection. Cost?.. 15ml for $69.00! Apply on cleansed eye contour area after applying eye essence. The Eye Mask: Thermal Oxygen Overnight Eye Mask is enriched with Swiss Thermal Water, algae extract and vitamins. It smoothes out wrinkle and fine lines, reduces under-eye dark circle and puffiness effectively. Cost?.. 15ml for $69.90! Apply on eye contour area after application of the eye cream and eye essence then leave on overnight. The full size product that is too hard to miss is this..! 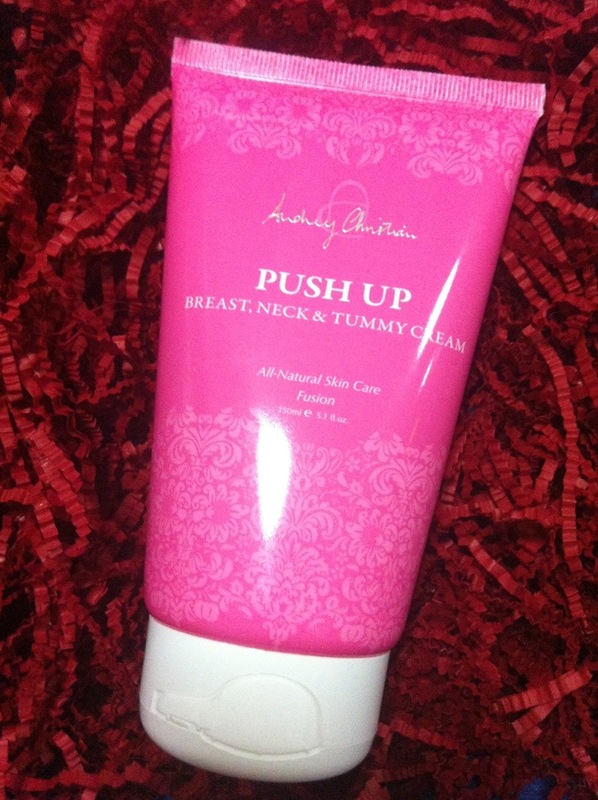 Audrey Christian’s PUSH UP cream for Breast, Neck & Tummy!!! Audrey Christian is a natural skin care line hailing from Norway. Now for the SHOCKING PART!!! This 150ml cream cost S$129!! HELL NO WAYYYYY???? but im serious!! This really cost S$129!! it must be really effective!! 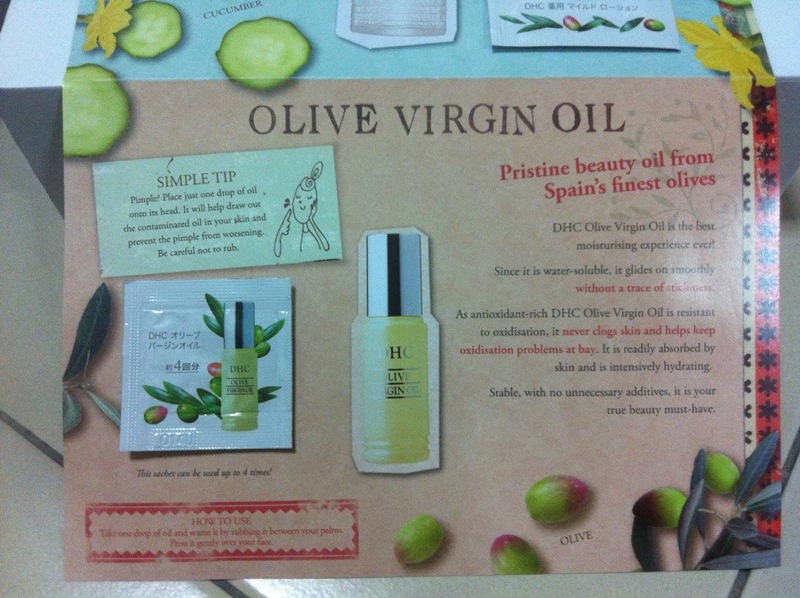 T_T *so touched* We actually got a full size product worth more than our subscription in our trove!!! So what is this PUSH UP all about???? PUSH UP is a luscious body cream with a velvety soft consistency, is easily absorbed and enriched with a mild, pleasant scent of flowers. PUSH UP Breast, Neck and Tummy Cream uses a host of natural ingredients to stimulate the body’s production of collagen and elastin which in turn boosts the skin’s elasticity. This makes the breasts appear fuller, firmer and shapelier. PUSH UP encourages cell regeneration, fights off wrinkles and firms slackened skin on the neck, chest and tummy. PUSH UP is suitable and beneficial for all ages and skin types, to preserve and revitalize youth, beauty and suppleness of the skin and breasts! *Clinical tests document up to 9 degrees improvement in 6 weeks. Individual results may vary. Usage: Breast & Neck – Apply cream once/twice a day with up and inwards movements. Tummy & Stretch Marks – Apply cream twice a day to firm up the tummy skin and to reduce stretchmarks. If you are interested, you can drop by SaSa or Guardian Pharmacy to have a look! Are you impress with the above 3 items as of now?? well.. i am..! Next next!! 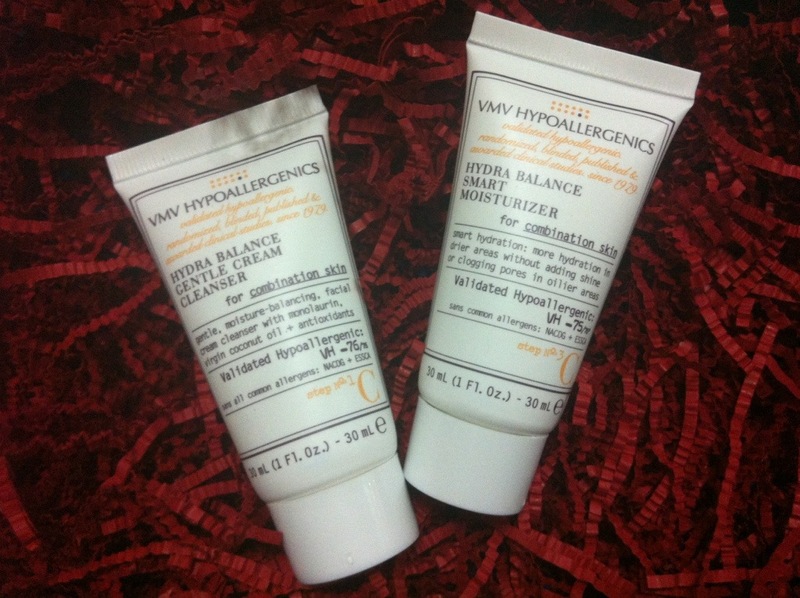 VMV Hypoallergenics Cleanser and Moisturizer. 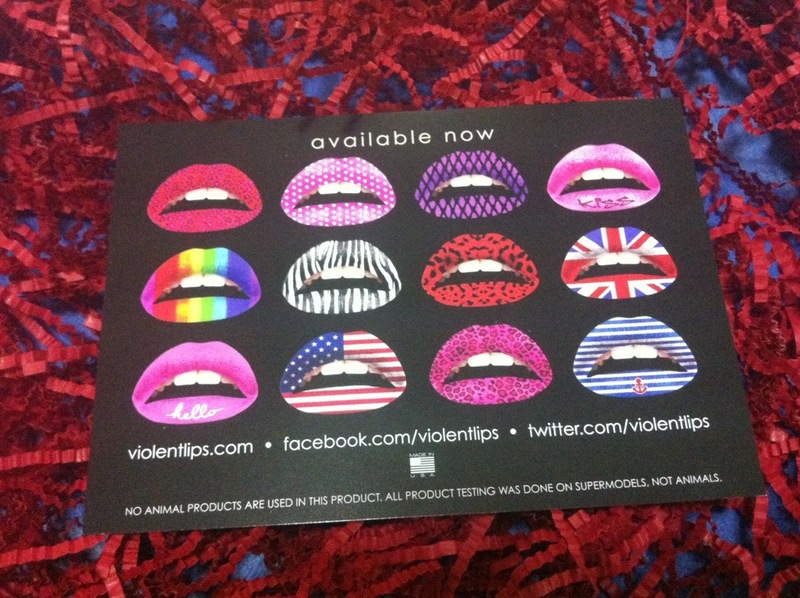 Turn your pout into Polka Dot, Leopard or Glitter Prints that last through the night with Violent Lips. 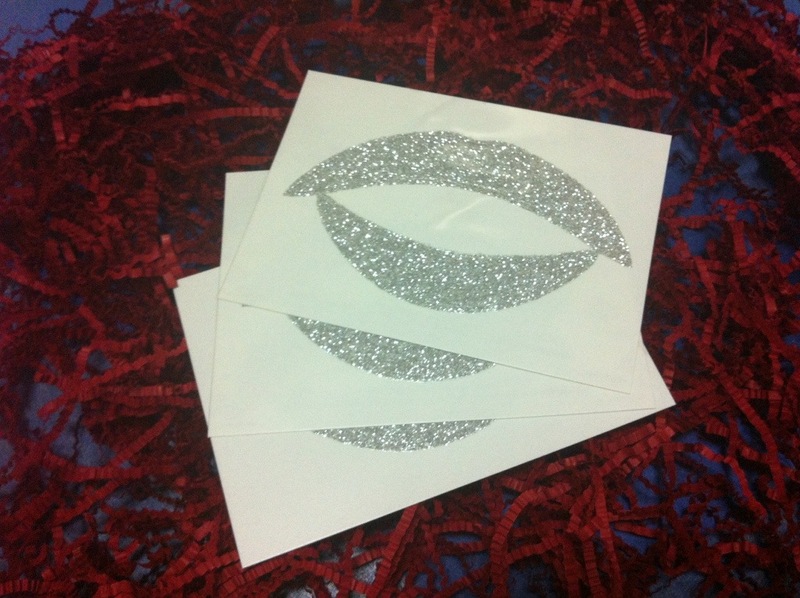 A fashionable line of Temporary Lip Tattoo Appliques. 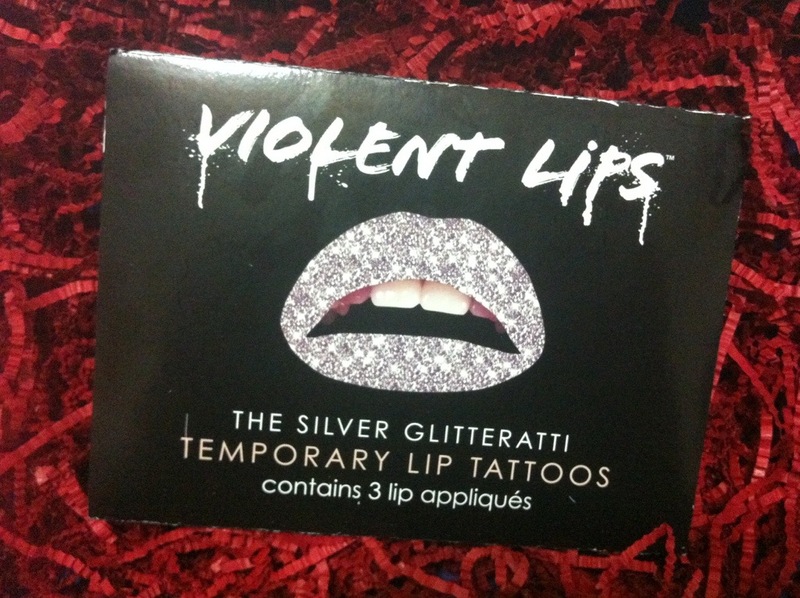 Each Violent Lips package contains 3 Lip Appliques. WHAT YOU’LL NEED: A pair of Scissors, a Mirror, Cotton Balls, Water & Violent Lips. Step 1: Remove the appliqué out of it’s stencil. Step 2: Line the center of the top lip appliqué to your cupid and measure the width and depth of your lip with your mouth open to a wide “Ahh” Shape. Make sure to stay outside your water line. Remember that the edges of your mouth also have a waterline that you need to cut to. Step 3: Cut to your measurements using the horizontal and vertical guides on the back of the lips. Step 4: Peel the plastic film off the appliqué. Step 5: Put the sticky side of the appliqué on your lips, making sure to keep your mouth in the wide “Ahh” shape. Soak the paper backing in water using your cotton ball until the paper starts to slide off. Step 6: Seal and smooth the appliqués with a generous amount of water using your cotton swab. HOW TO REMOVE?.. Just use baby oil or makeup remover will do! no hassle! OKOK.. picture still doesn’t help?? Then this confirms help!! VIDEO!! How? simple right?? Try it some day when u have some ROCKSTAR PARTY~!!! Other patterns available… there are a whole lot more on the web! check it out HERE!! After all the Big and Bold product i think i need some small things to keep mi CALM!! HAHAHAHAHAH!!! DHC~!! #1 direct skincare company in Japan, for more beautiful skin. With a legacy of over 30 years in Japan creating high-quality products based on the natural benefits of olive oil, DHC is here to help you achieve more radiant skin. They use effective ingredients that are tested and true, without adding unnecessary coloring agents or irritating fragrances. 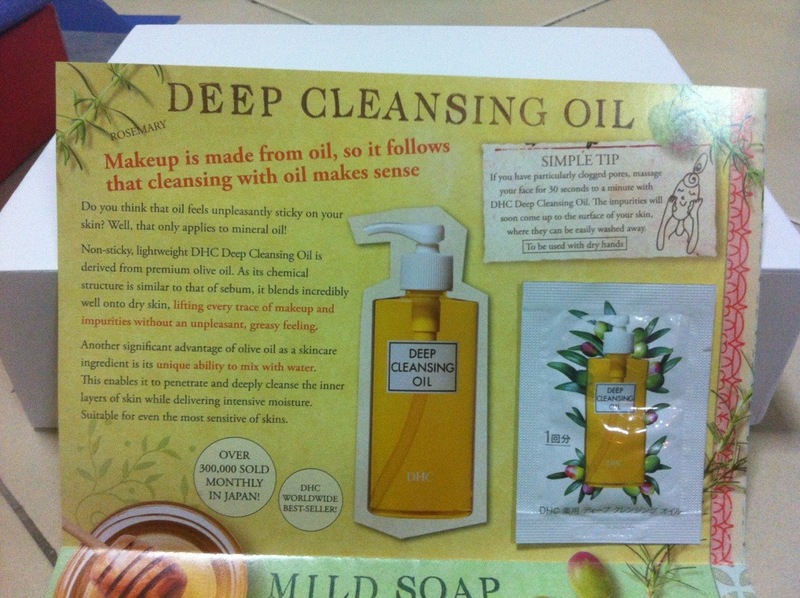 VT, you know wat, i was at Watsons looking at DHC Cleansing Oil on Fri evening and here… i got one sample! came in the right time i would say!! hahahaa! Now i can try it before i really purchase it.. This amazing olive oil cleanser dissolves pore-clogging dirt, excess oil, makeup—even waterproof mascara—with ease, leaving skin feeling refreshed and soft to the touch. Its unique water-soluble formula rinses completely, so you’ll never see a greasy residue. Olive oil and vitamin E help ensure you won’t see dryness either. Olive Soap is a fierce antioxidant and vitamin-rich cleanser that’s gentle on all complexions, including sensitive, dry, and mature. Fortified with olive leaf’s naturally occurring coenzyme Q10, a nutrient that also exists in our own cells, this clear cleansing bar fights free radicals that can cause damage to collagen and elastin fibers. It also frees your skin’s surface of dirt and excess oil while helping to fortify your skin. In short! It combats rough, damaged, dry and mature skin with the antioxidant-rich goodness of olive leaf extract in this reviving soap. 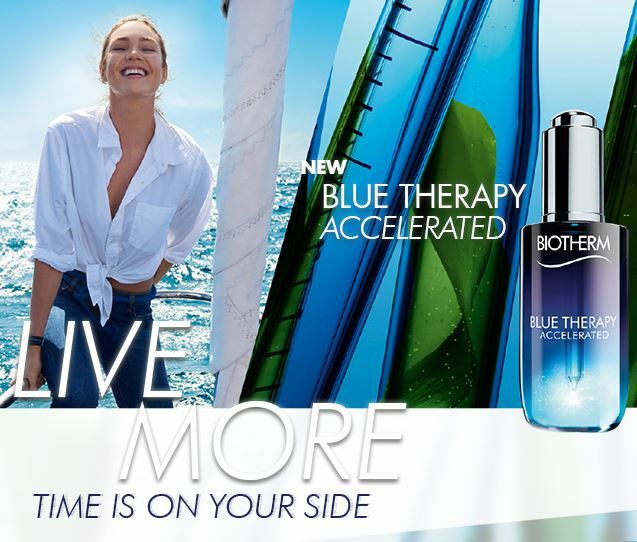 Help your skin feel supple, smooth and restored…. 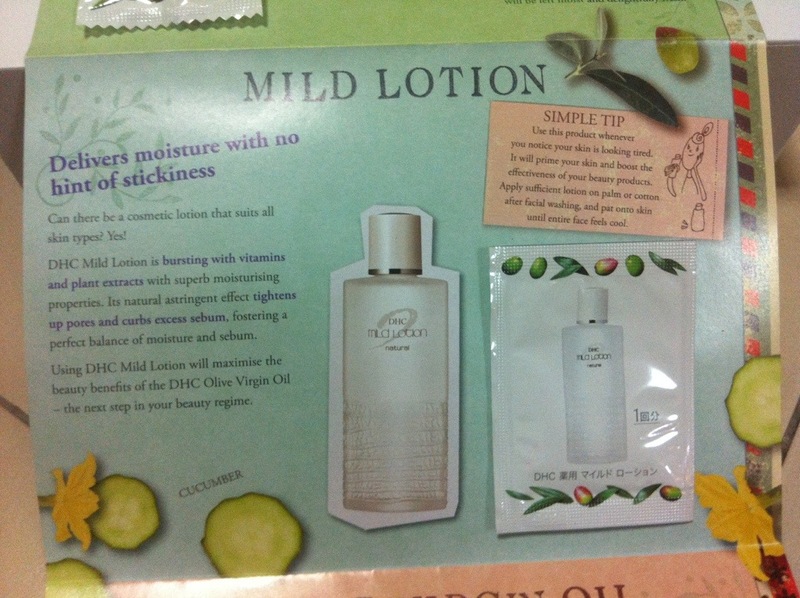 Mild Lotion! This revitalizing tonic helps your moisturizer go the extra mile in keeping your skin freshly hydrated. It’s alcohol-free for gentleness, and blended with soothing cucumber juice to keep things cool. 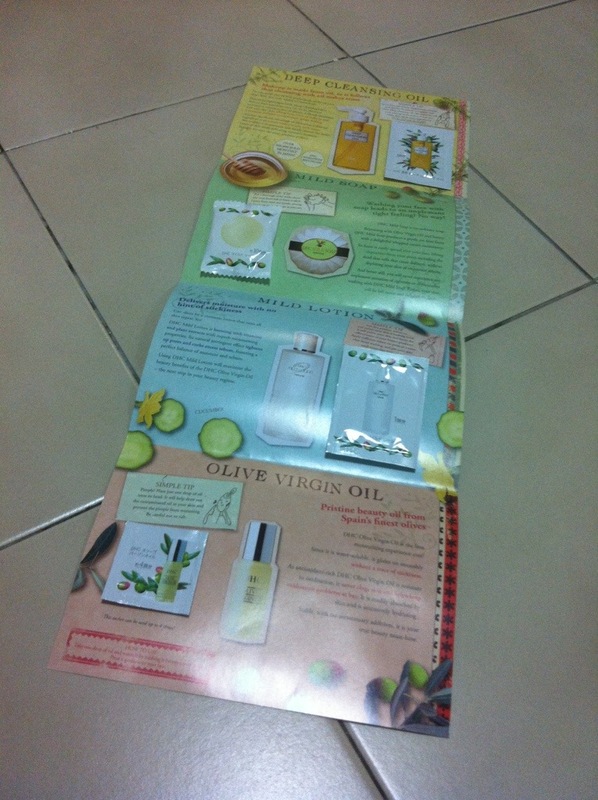 Olive Virgin Oil.. 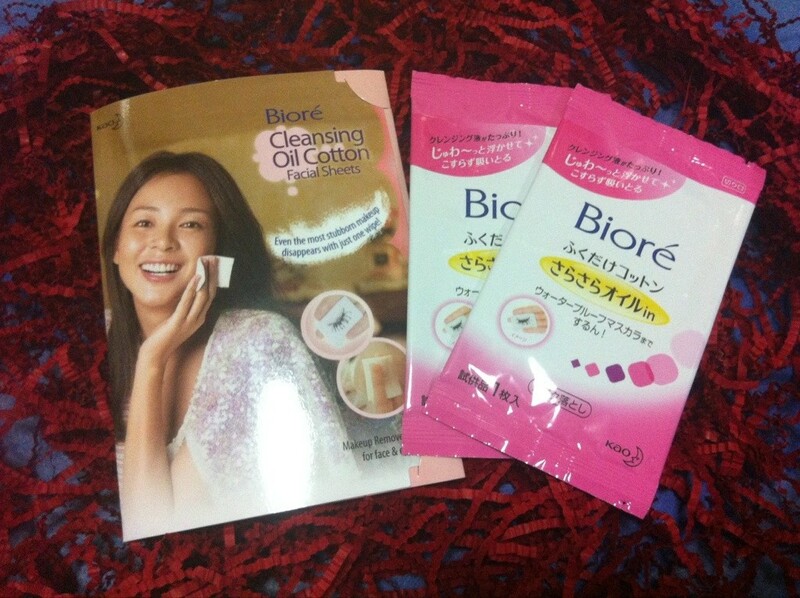 Sounds oily to apply on face hor..?? but think again! Bursting with vitamins, minerals, and antioxidants, Olive Virgin Oil is 100% certified organic Flor de Aceite, one of the purest forms of olive oil available. It has a superior ability to moisturize and soften skin and to help you achieve a remarkably healthier complexion. 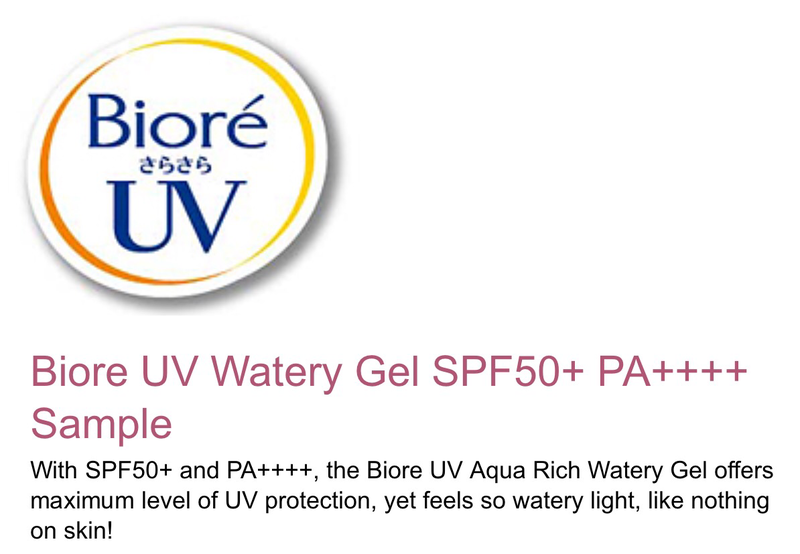 Its unique hydrophilic properties allow it to form a protective moisture barrier against irritants without clogging pores. Warm a couple of drops between your palms, gently press onto your face, and let the revitalization begin. 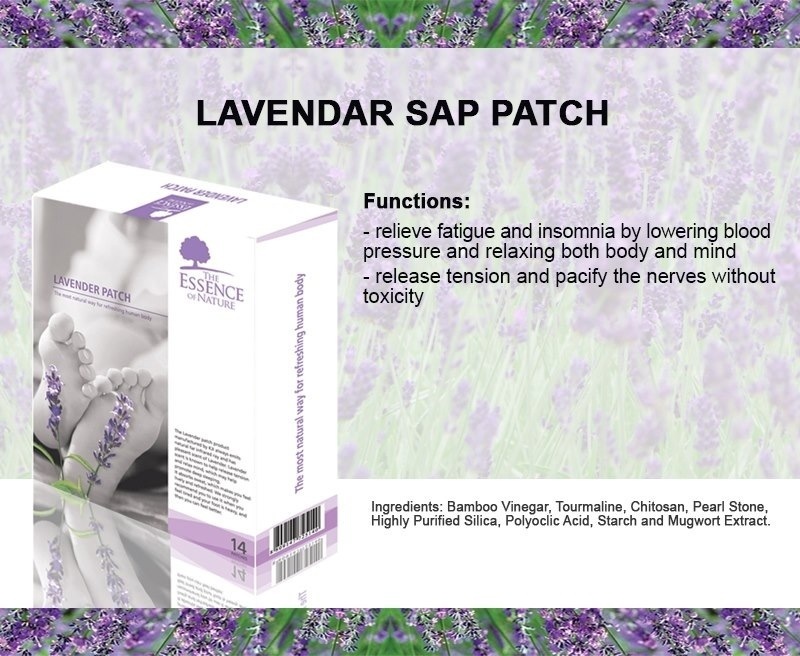 The Essence of Nature – Lavender Patch.. This is something similar to Kinohimitsu! but with Lavender scent that helps relieve fatigue and insomnia by lowering blood pressure and relaxing both body and mind. It also release tension and pacify the nerves without toxicity! I grabbed below pic/info from The Essence of Nature fb page! Quite factful! give it a read.. It is unavoidable for human beings to have their bodily waste accumulated in their feet, which provide the main support for the body. This is easily observable through daily experiences like stained socks at night and swollen feet when one gets tired. Accumulated wastes in the body can lead to dropsical legs, fatigue, and even disharmony in the body when metabolic process does not function properly. The soles of the feet, where acupuncture points are concentrated, are a reflection of all parts of the human body. They have a great influence on blood circulation, and, as such, are referred as the “second heart”. 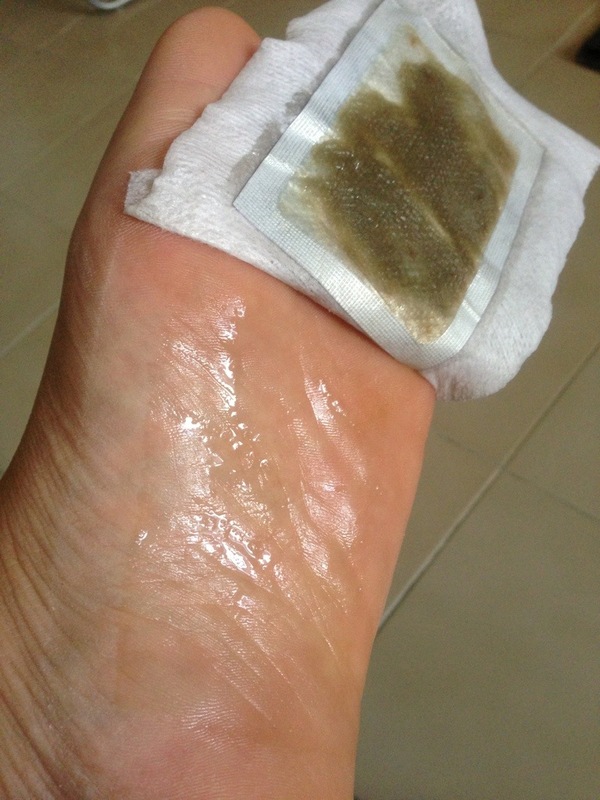 Toxic matters are often stagnated in the feet, which makes the soles of the feet the best areas for application of the sap patch to experience its beneficial effects. 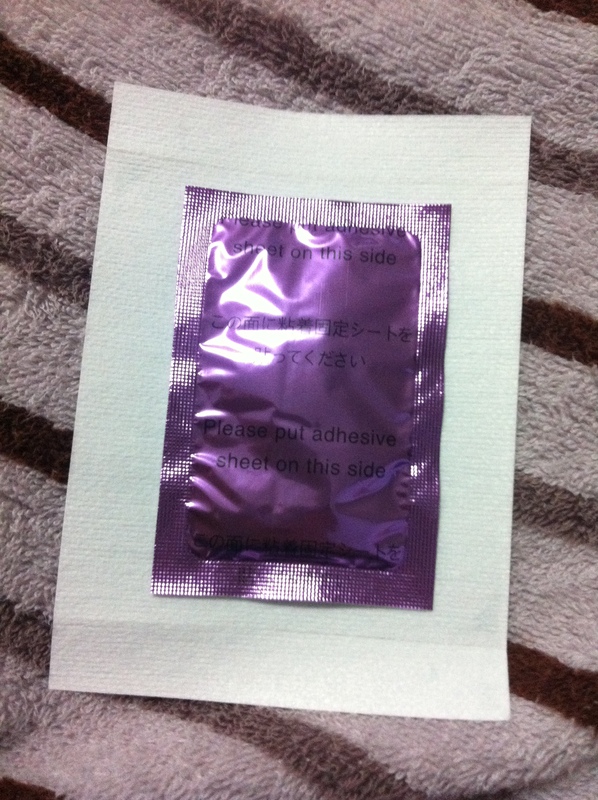 Seee… easy to use rite? 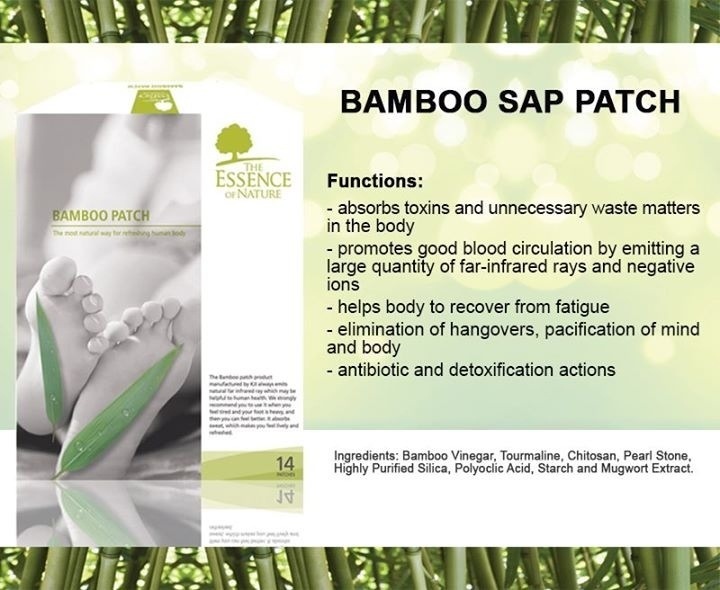 There’s other 2 types of patch namely, Bamboo Sap Patch & Slimming Sap Patch! 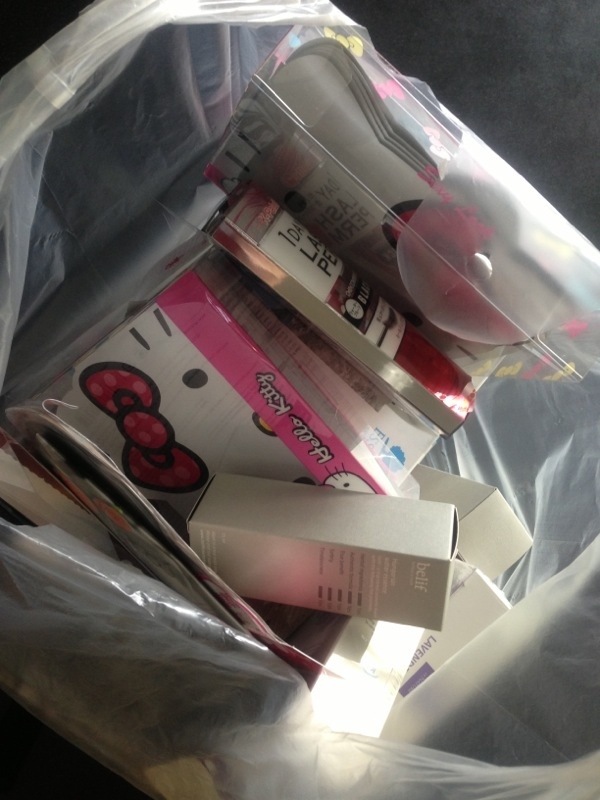 They are all available at Watsons for S$29.90 (14 patchs – one week supply)!! Update on 28th Sep 2012: See review HERE! Together in the trove are, as usual, some leaflets and promo inserts! Cool! definitely useful! Have a great evening …. !